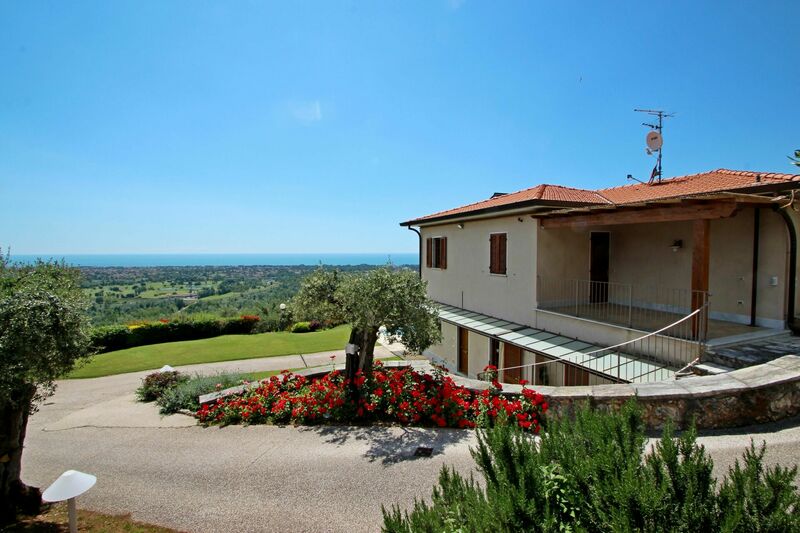 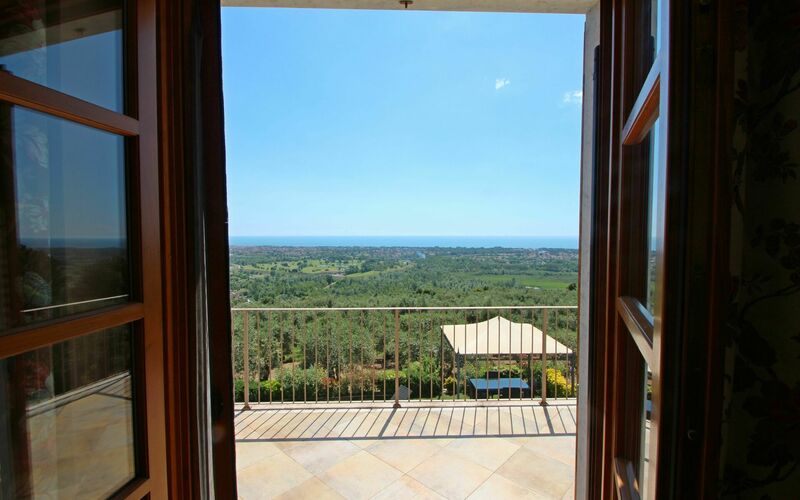 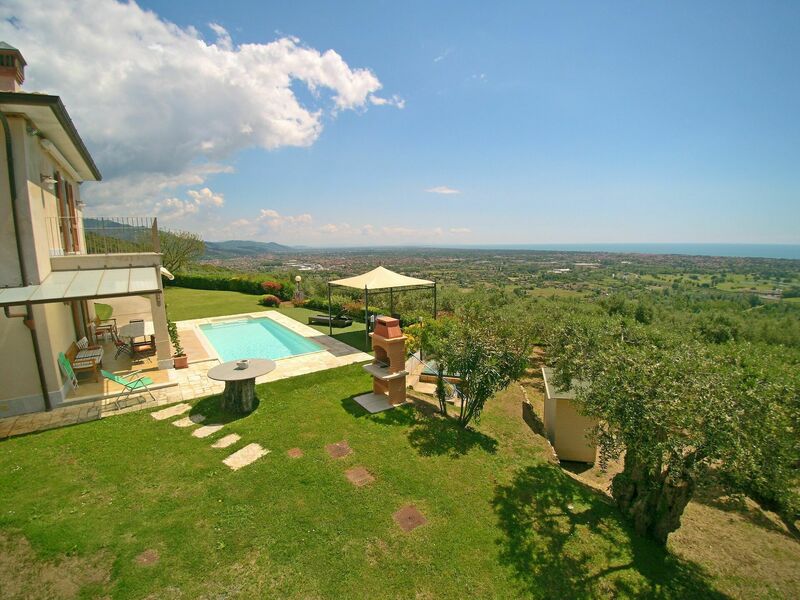 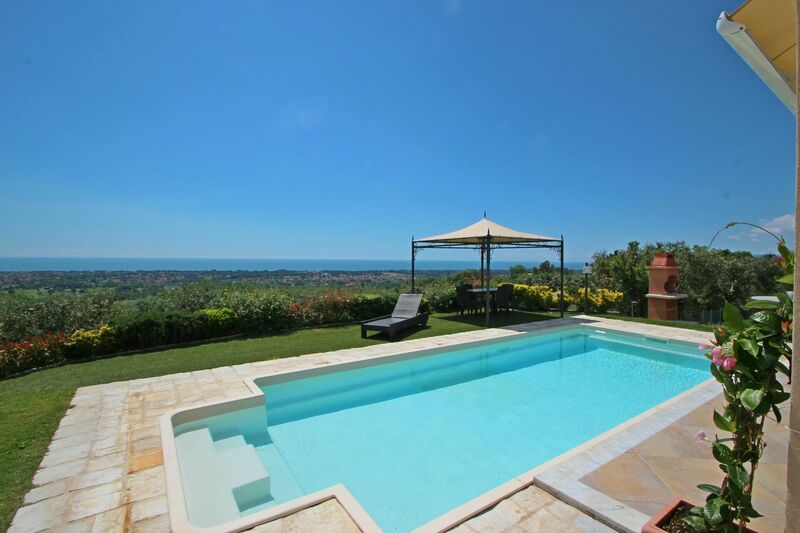 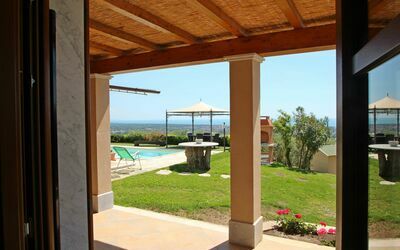 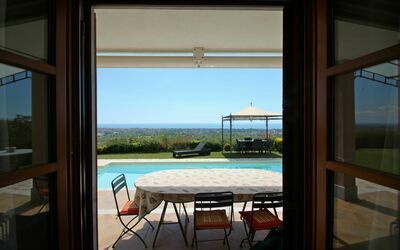 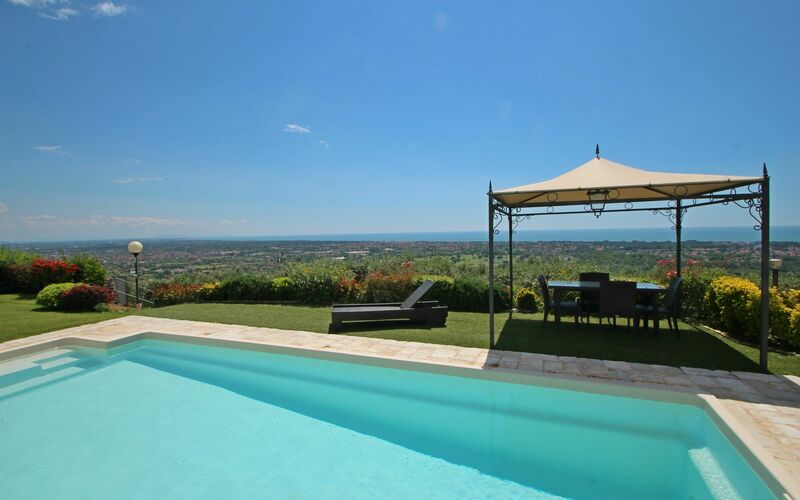 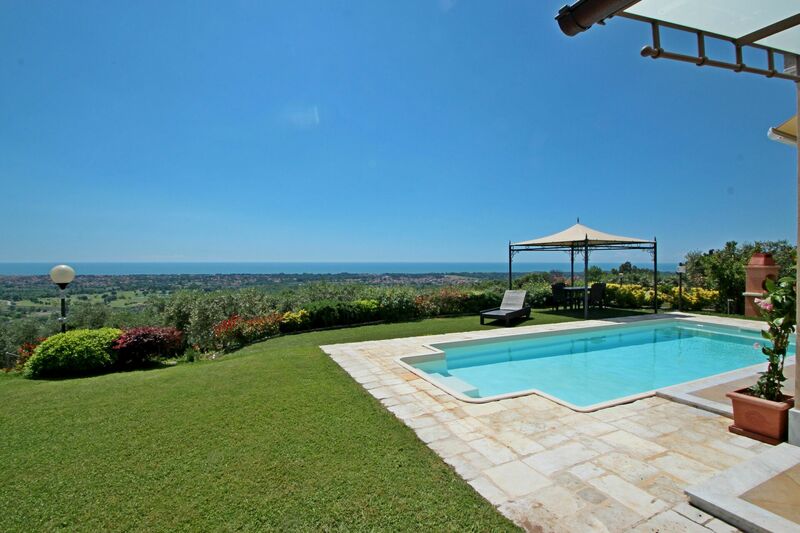 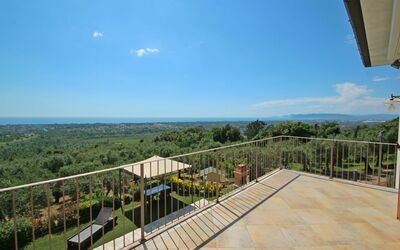 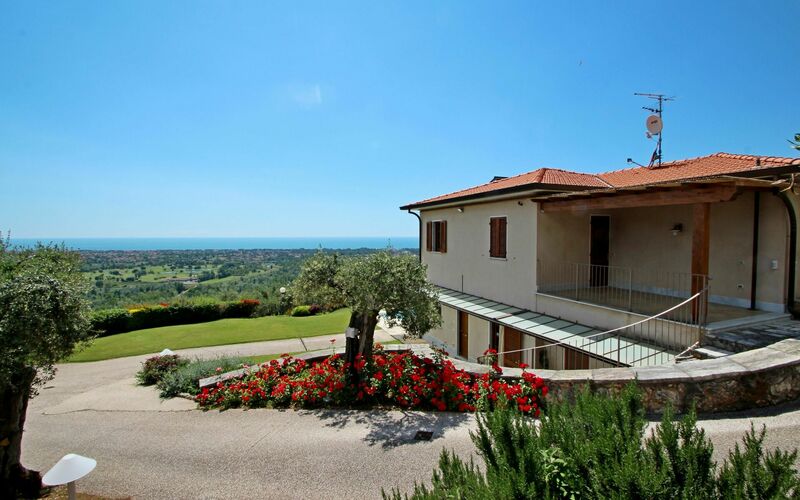 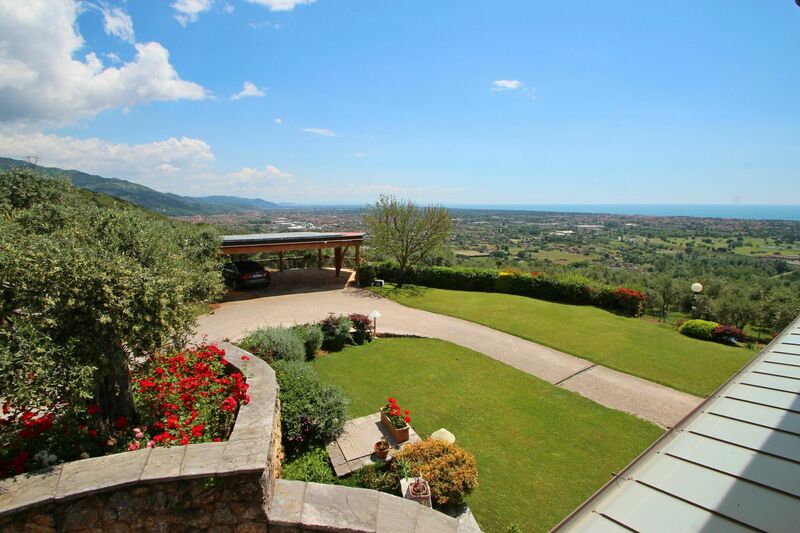 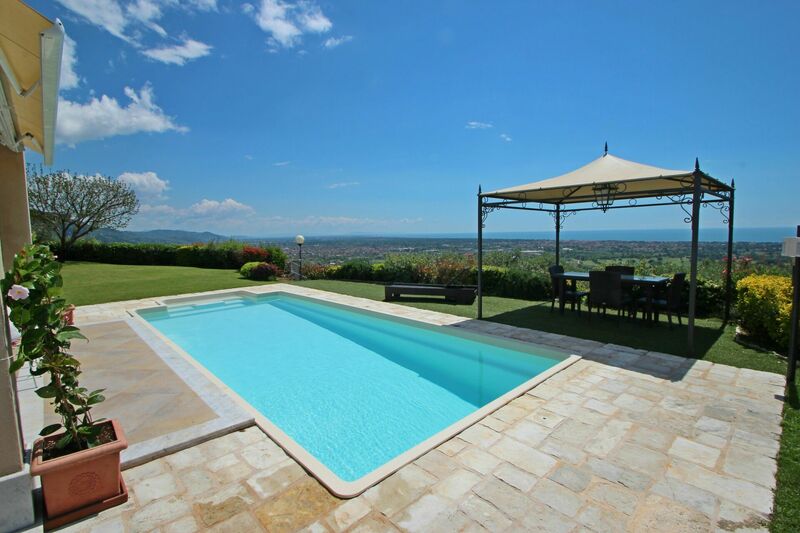 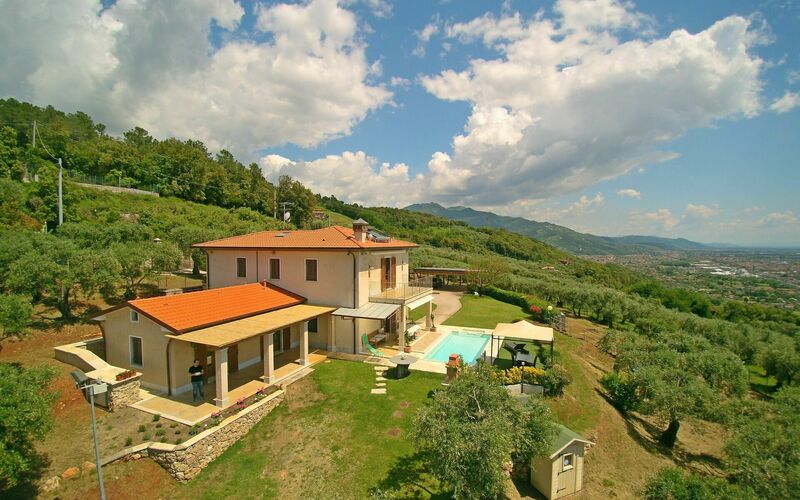 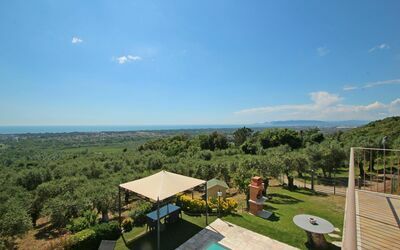 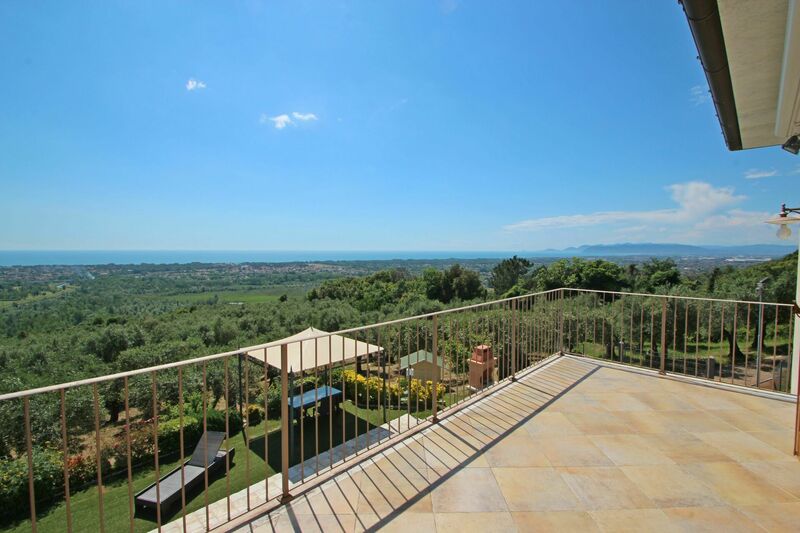 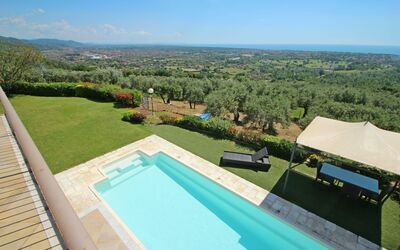 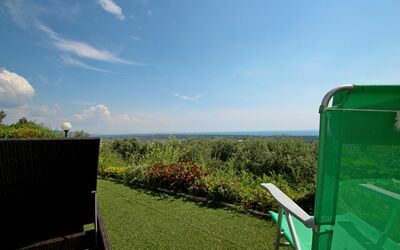 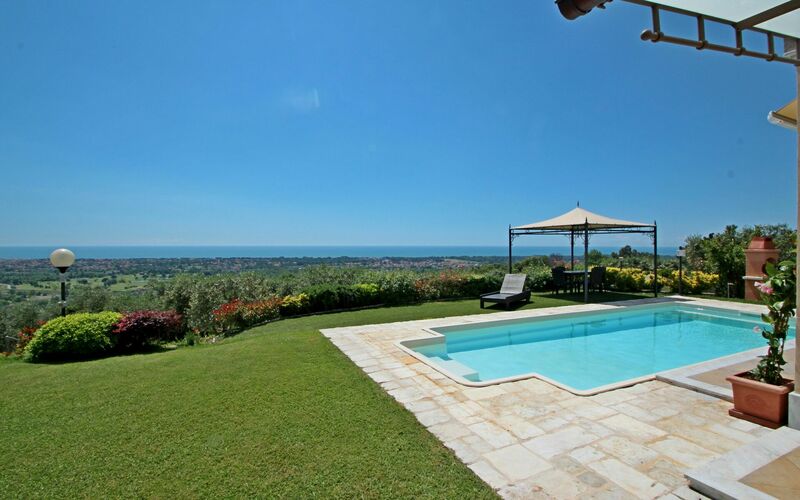 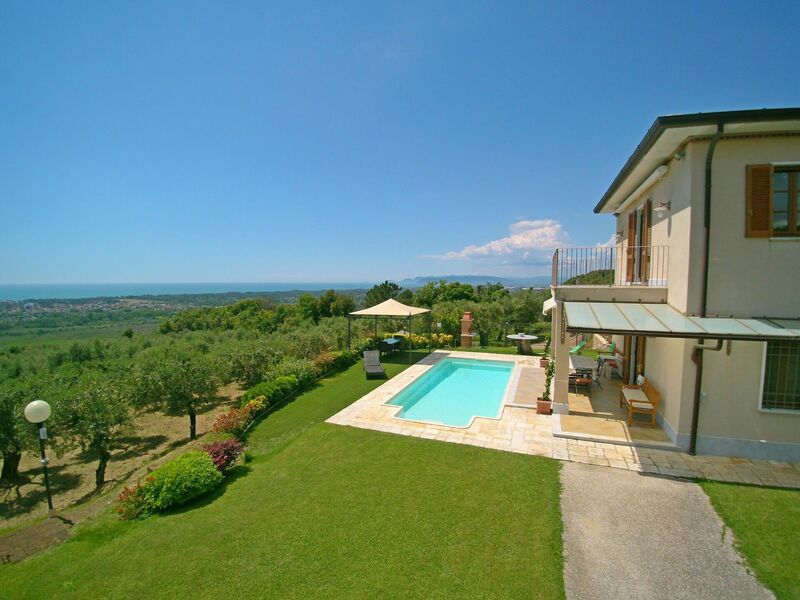 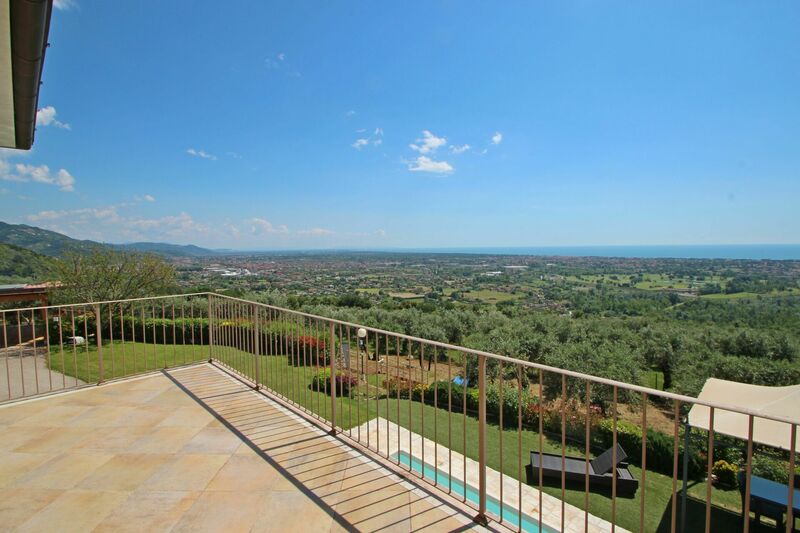 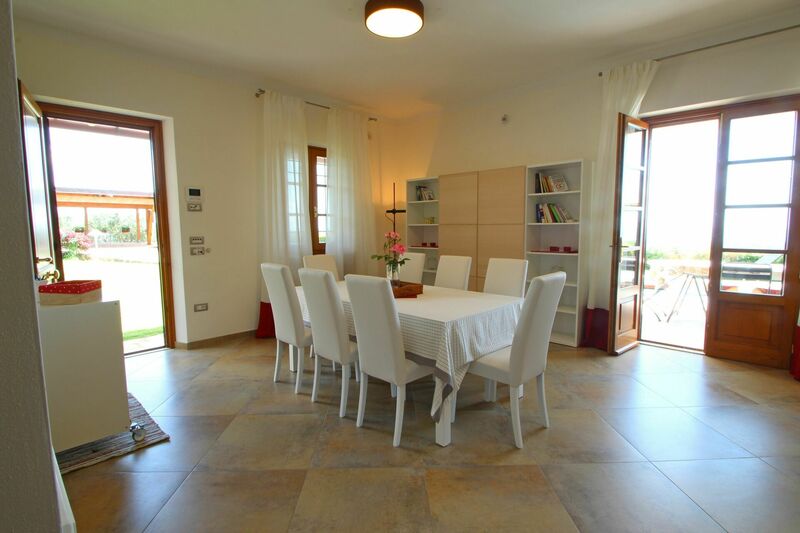 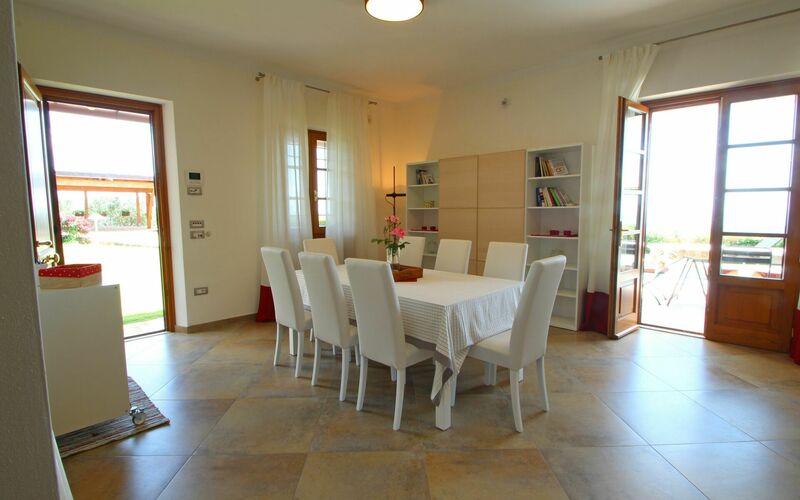 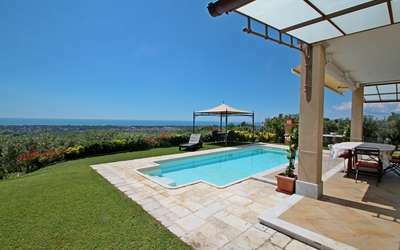 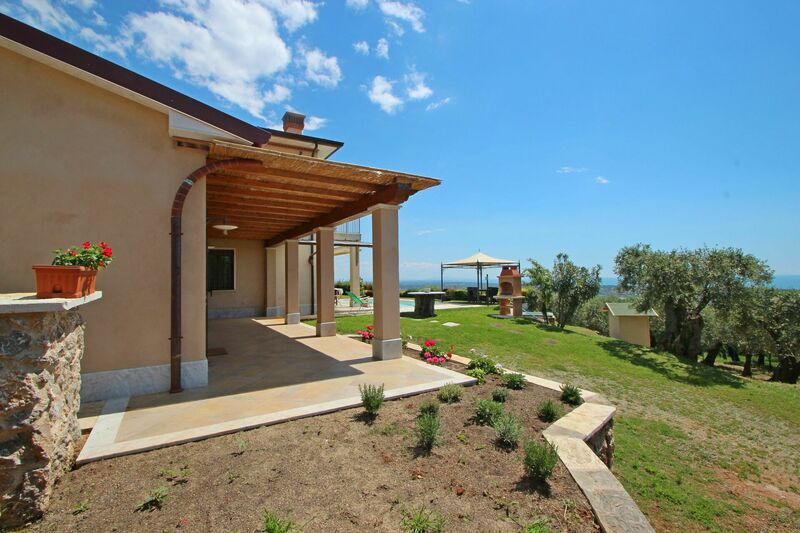 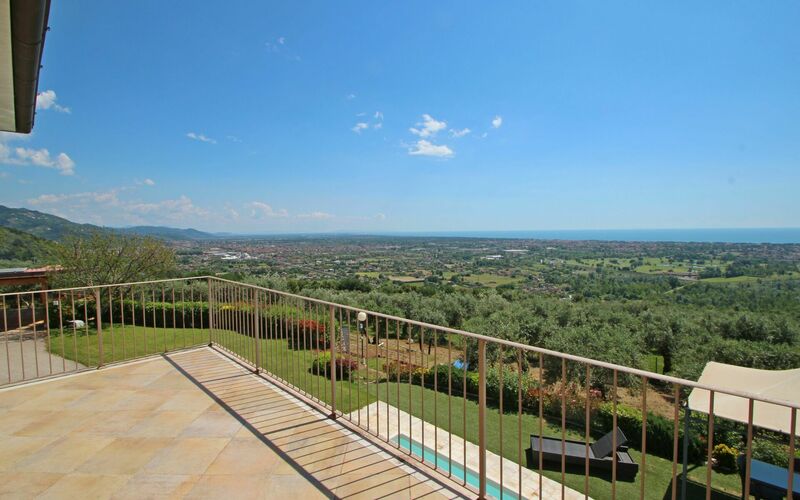 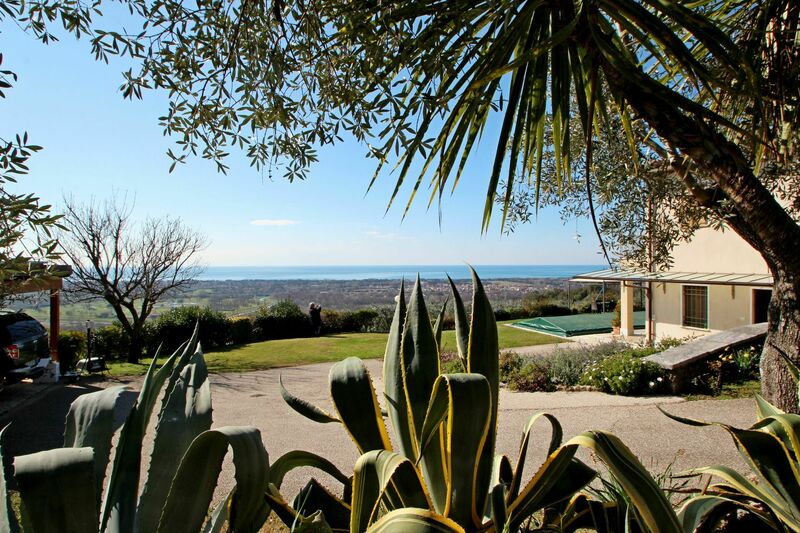 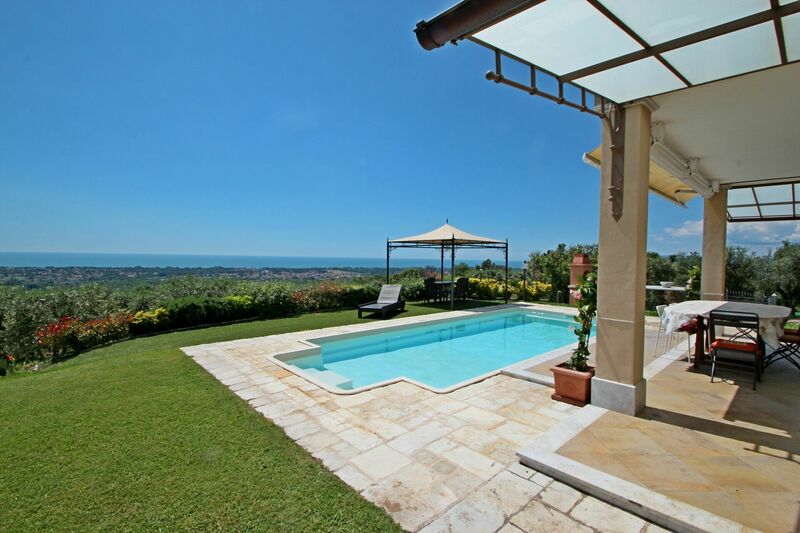 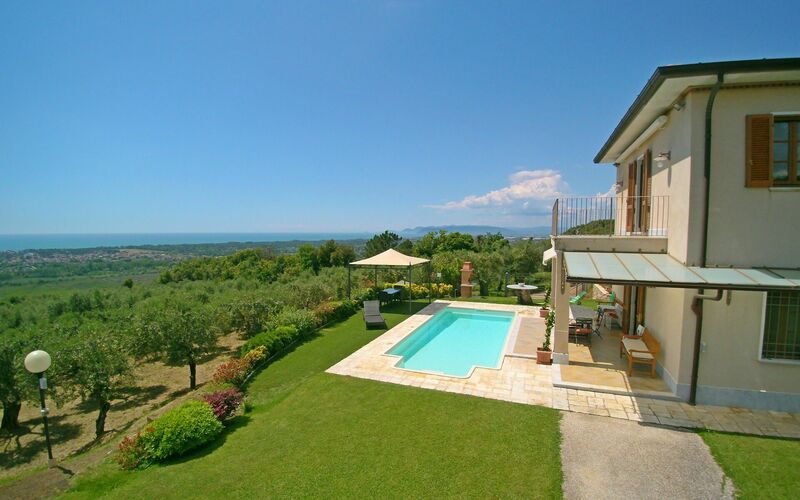 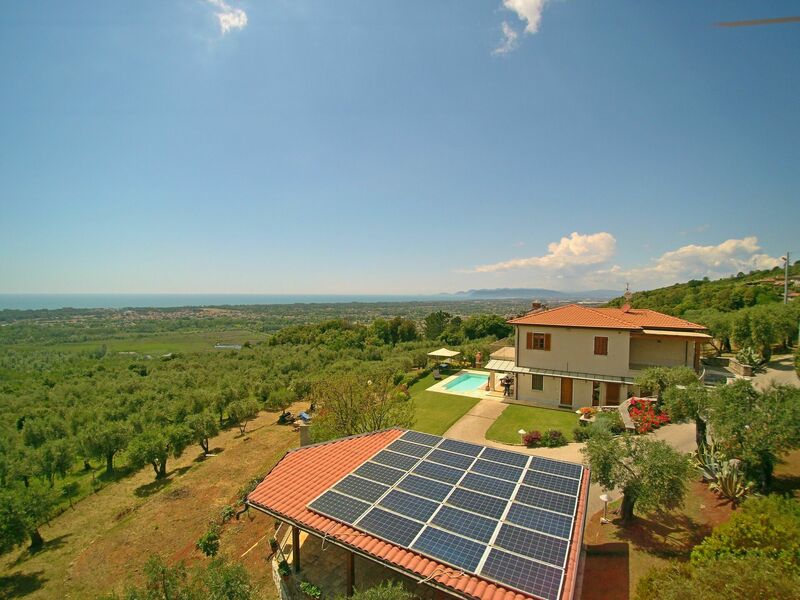 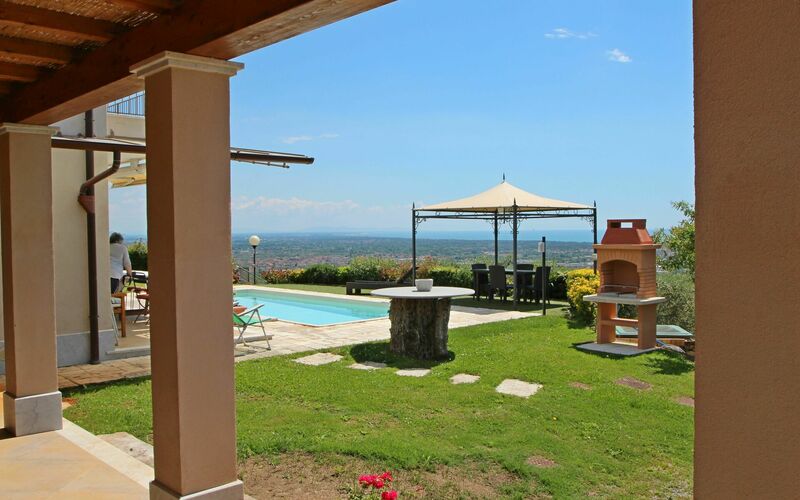 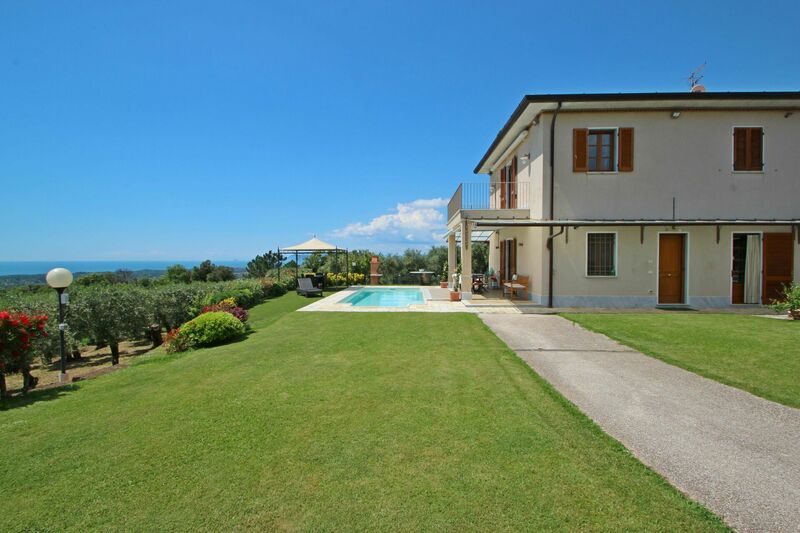 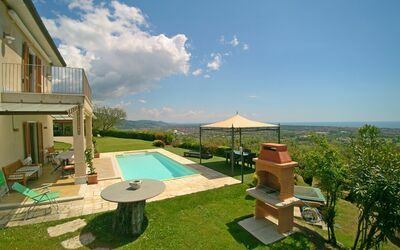 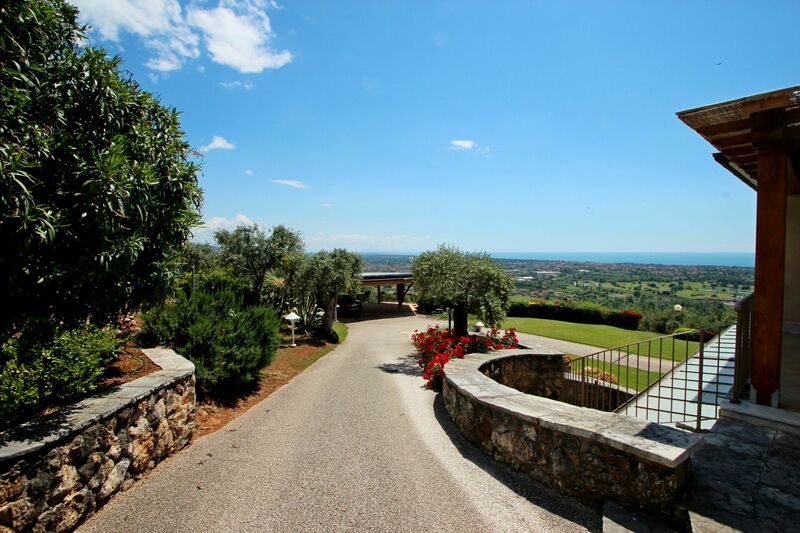 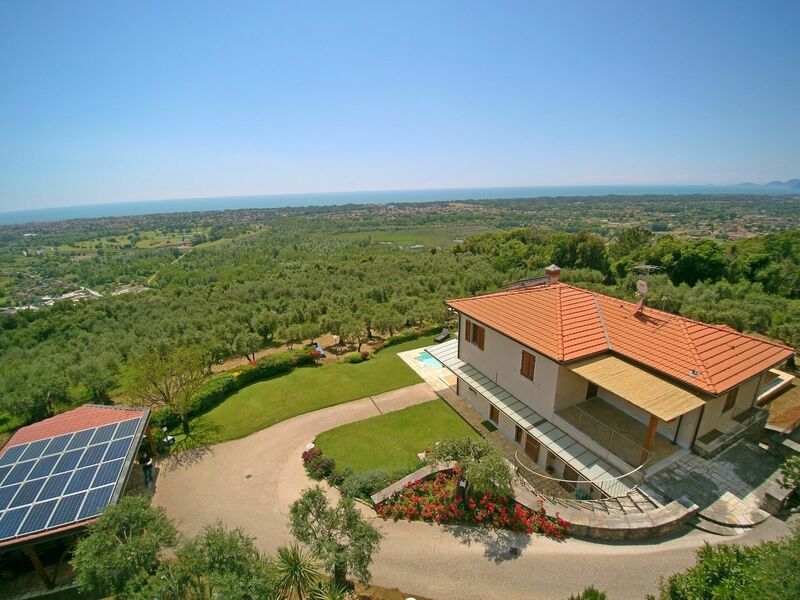 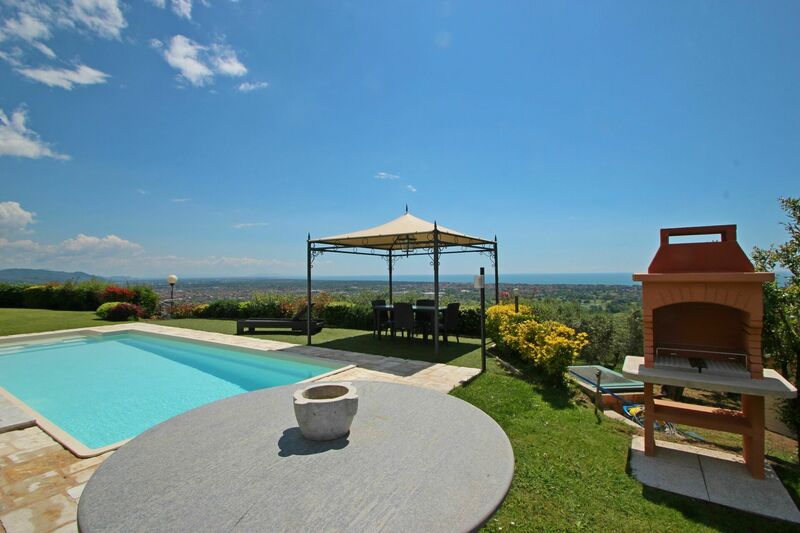 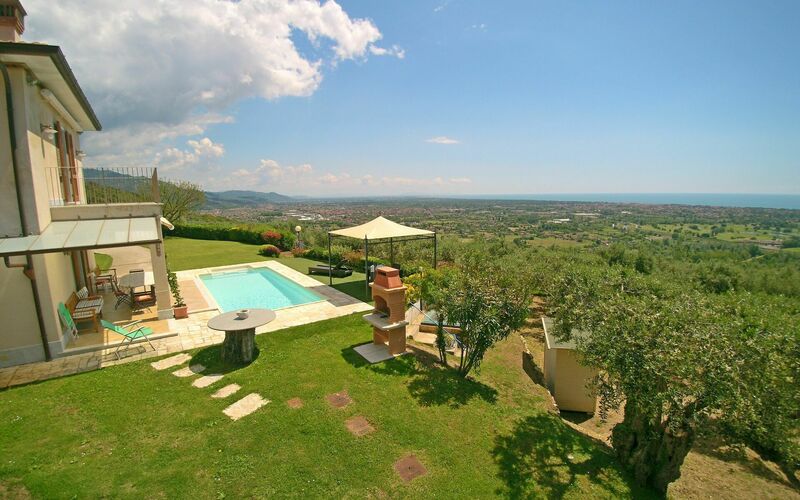 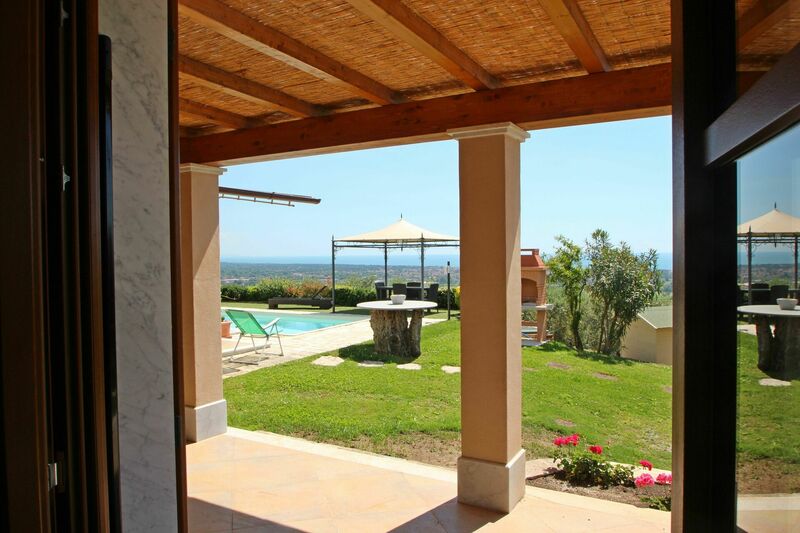 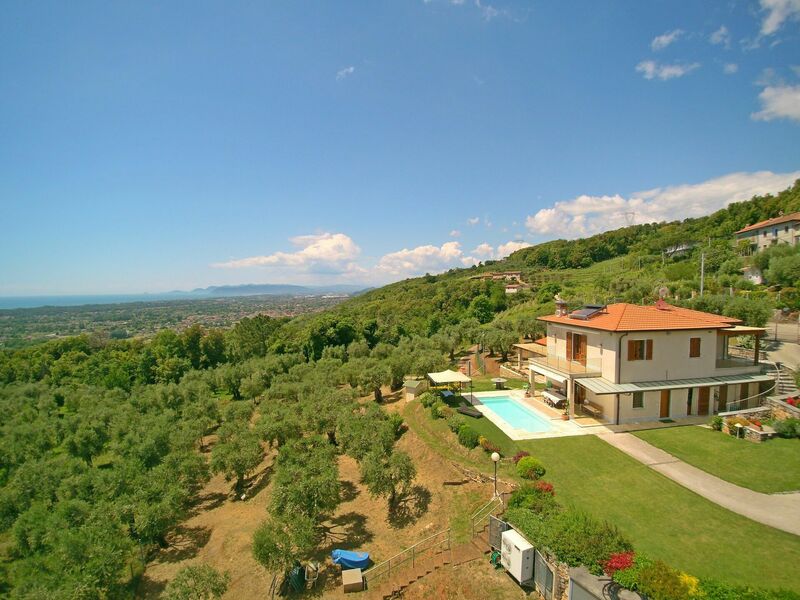 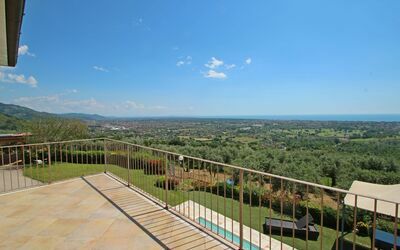 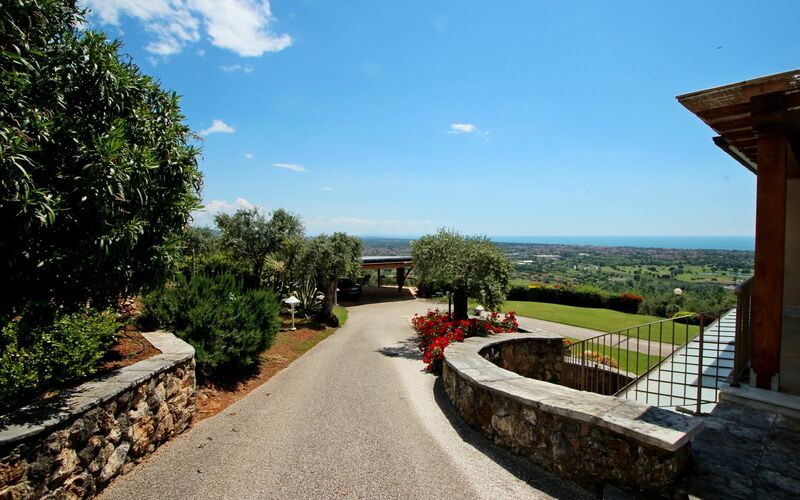 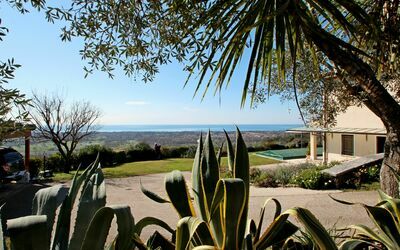 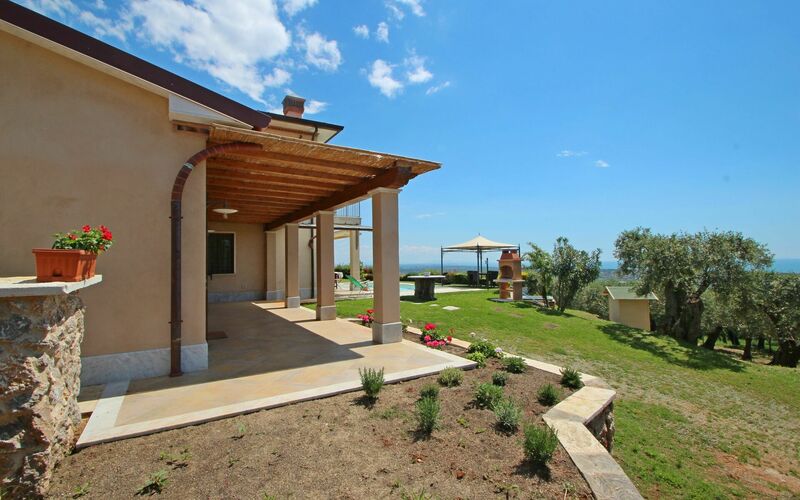 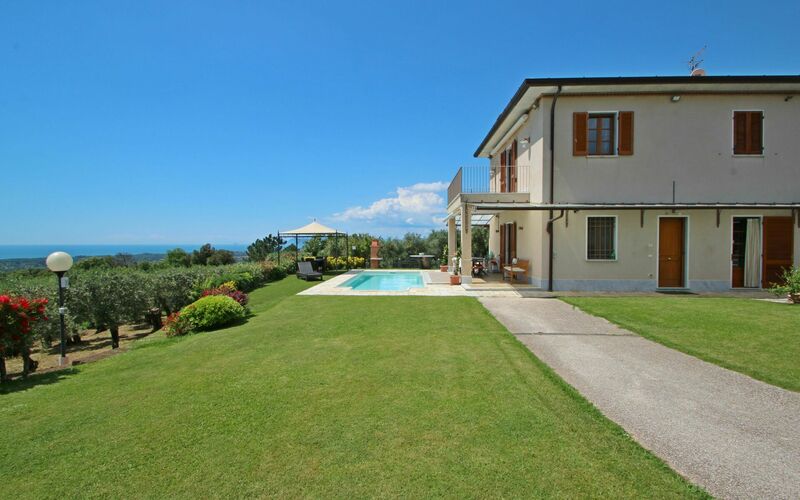 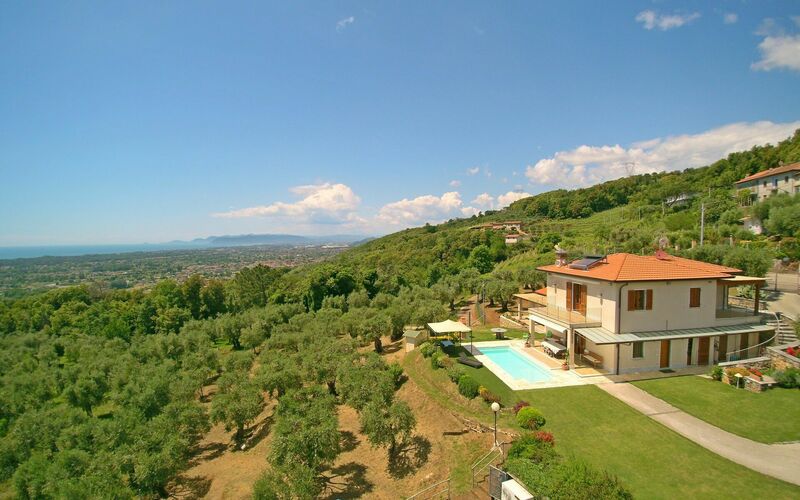 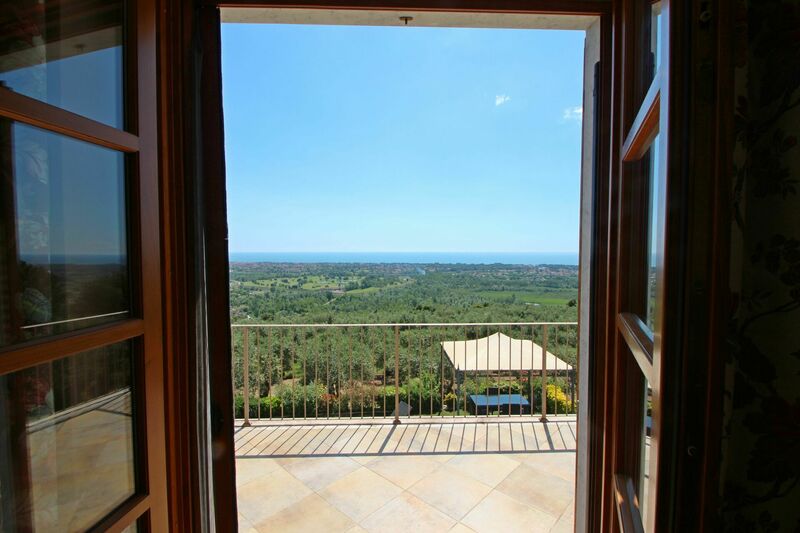 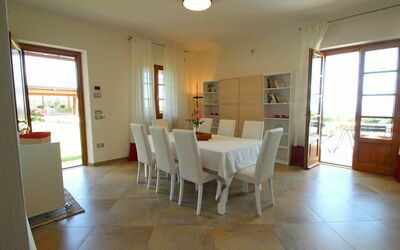 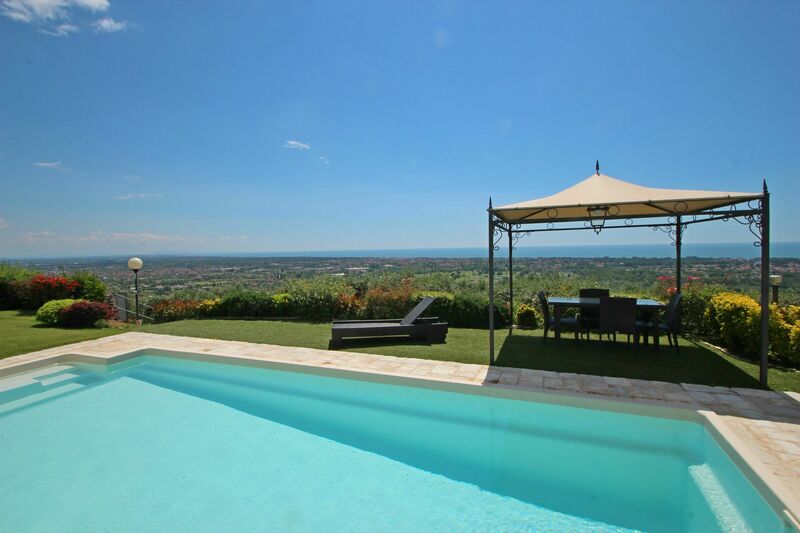 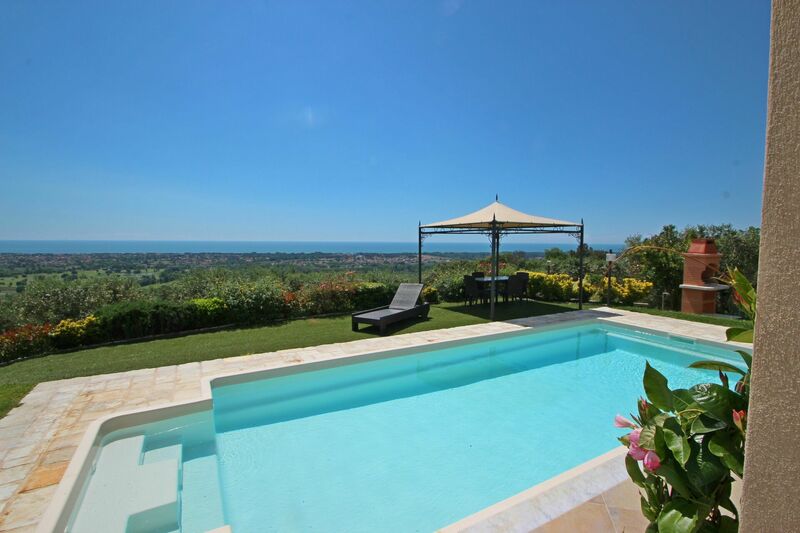 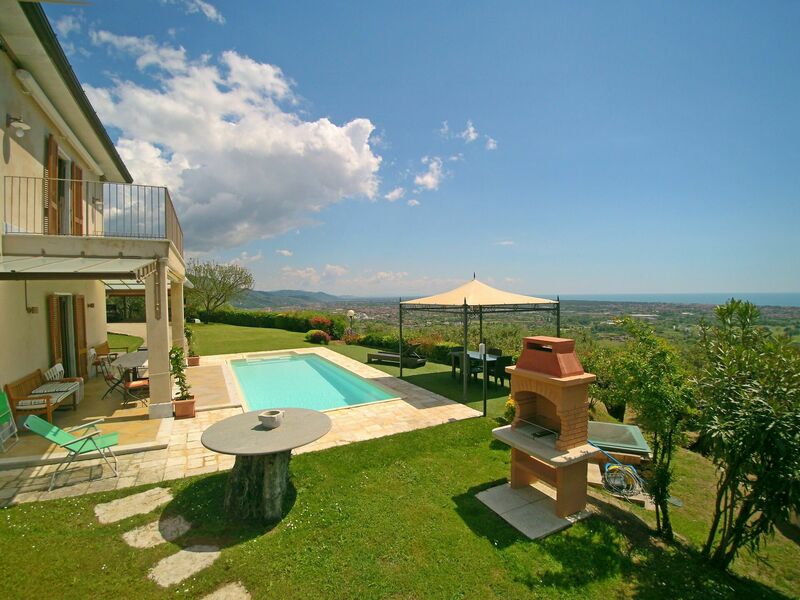 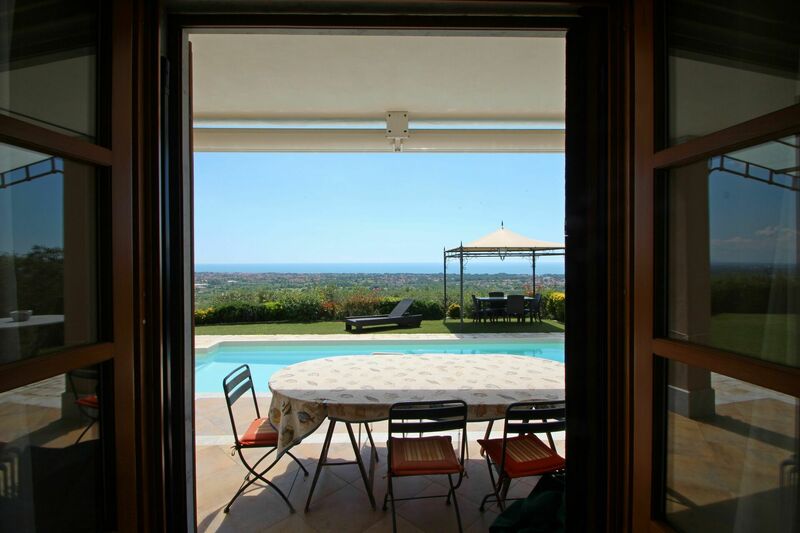 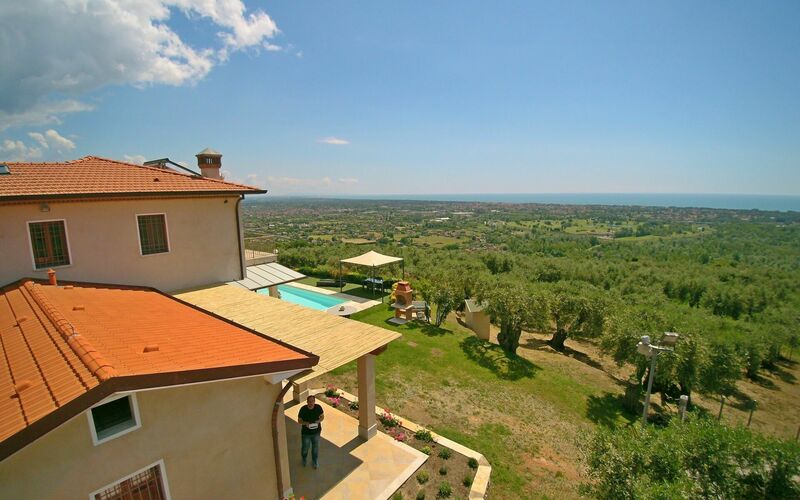 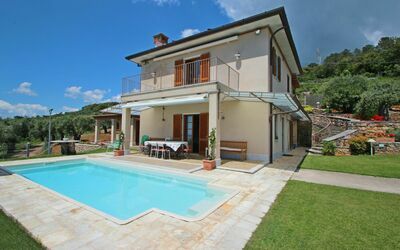 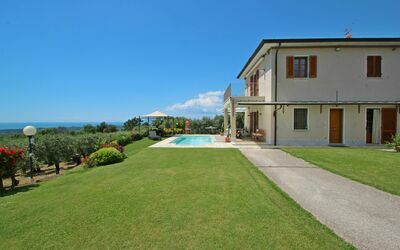 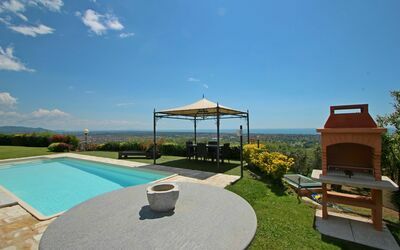 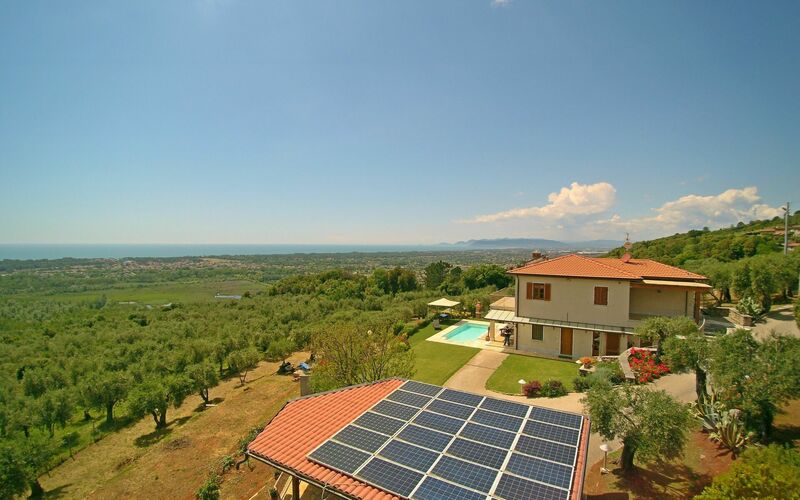 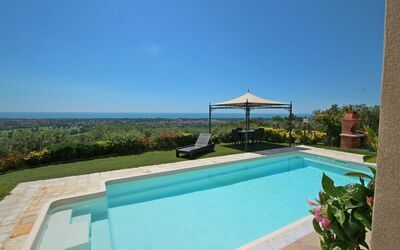 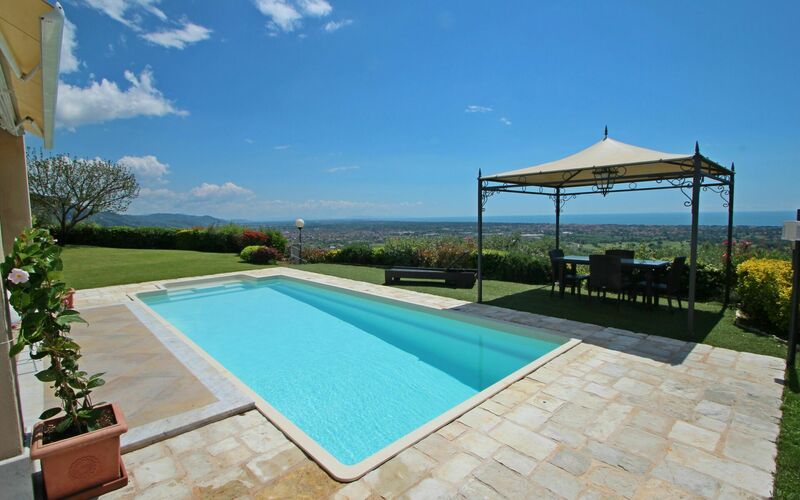 Villa Il Sogno is a wonderful property on the hills of Versilia, in Tuscany just above Forte dei Marmi. In front of the house there is a private swimming pool of 9 x 4 meters and a depth of 1 to 1,5 meters. 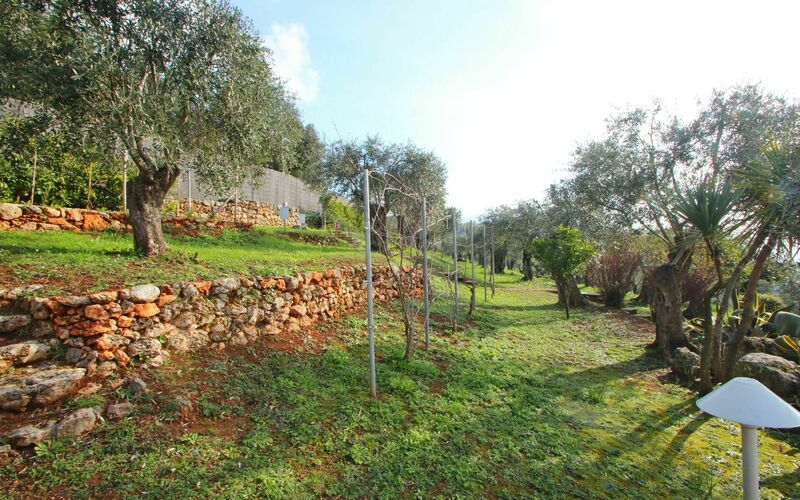 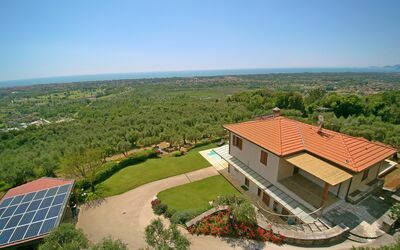 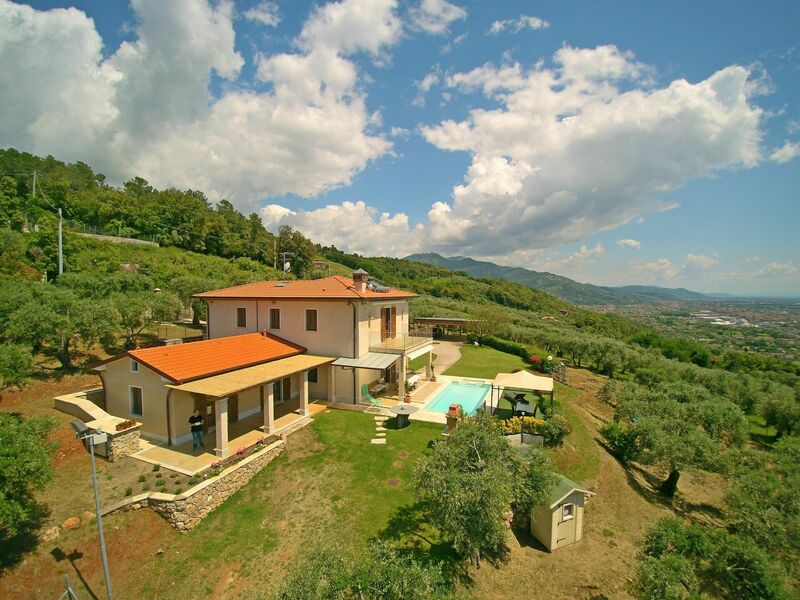 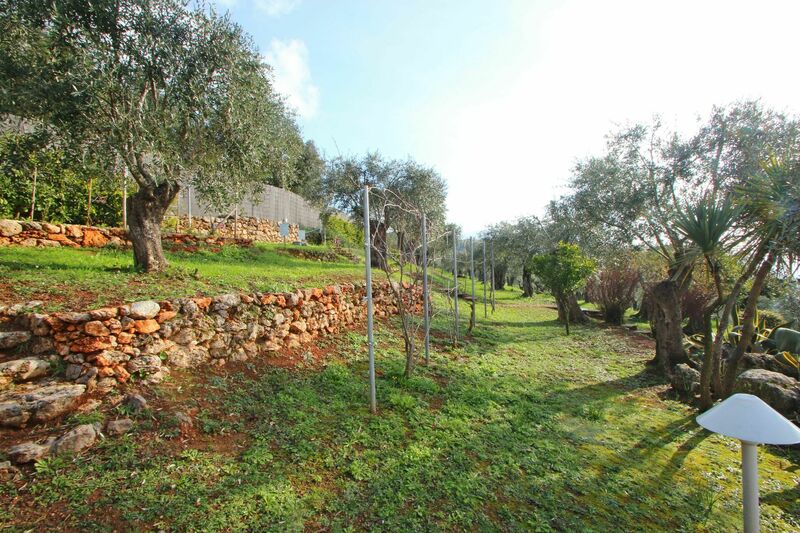 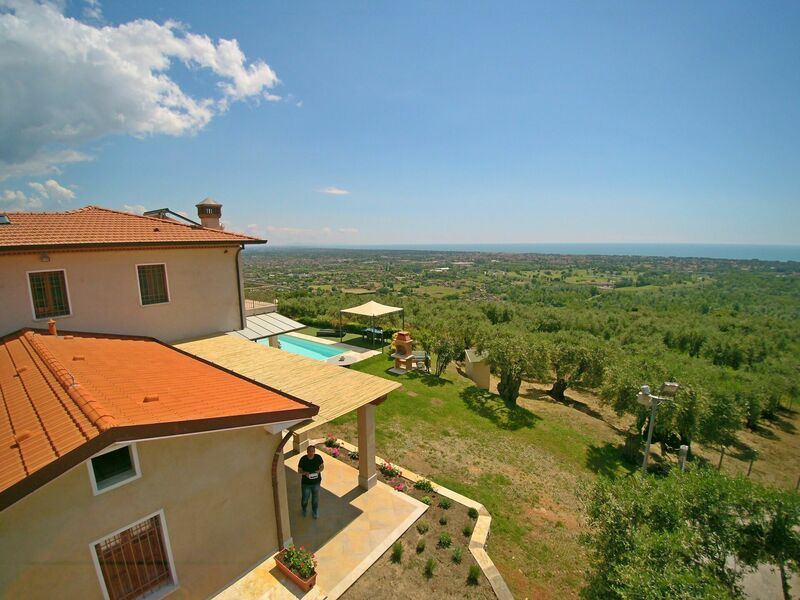 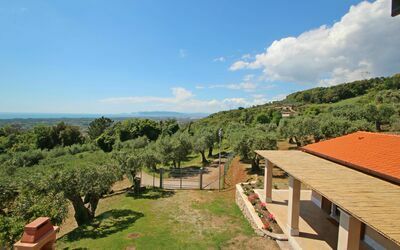 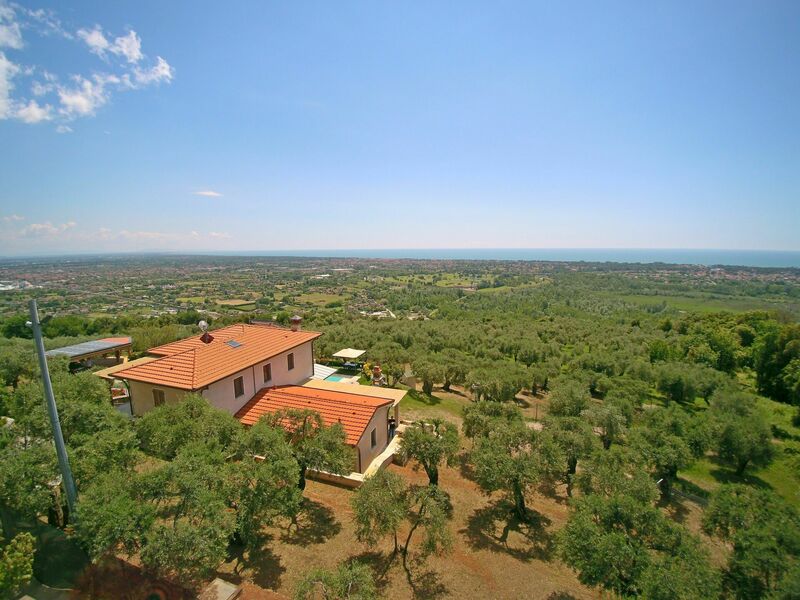 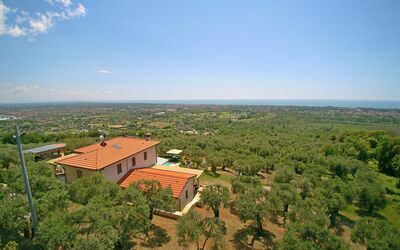 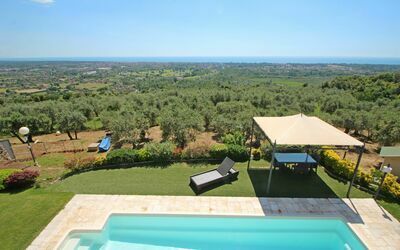 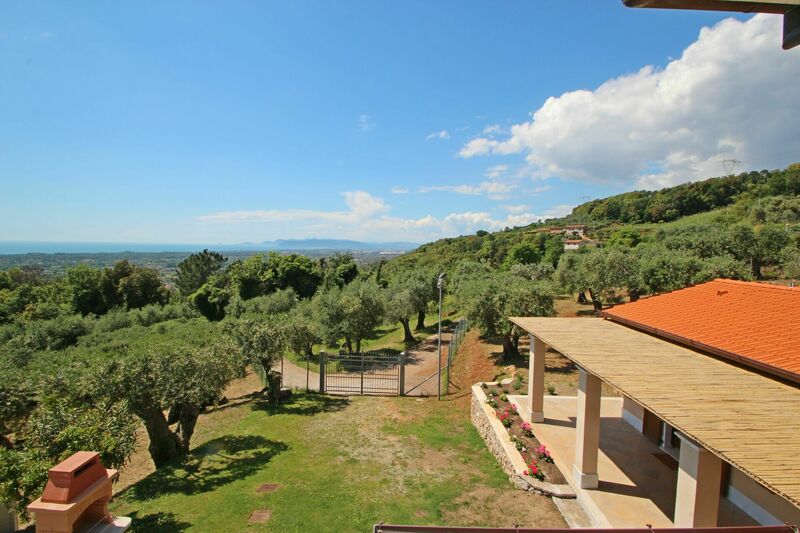 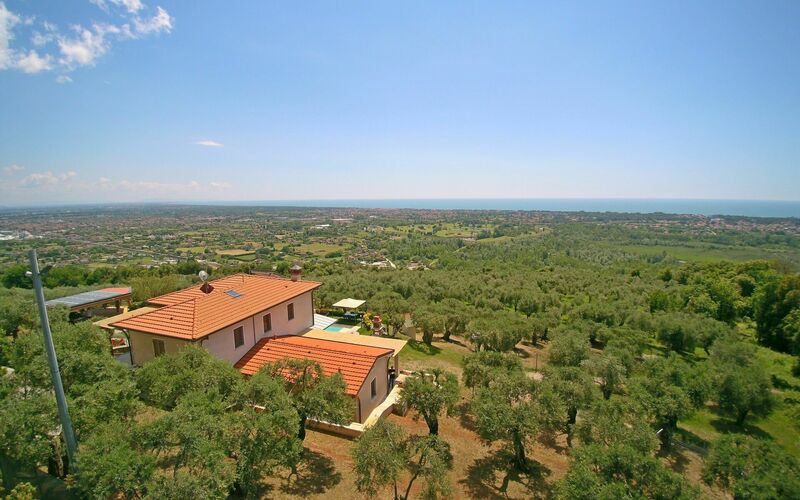 All Villa il Sogno is surrounded by a private fenced garden of over 2000sqm composed of olive and fruit trees. 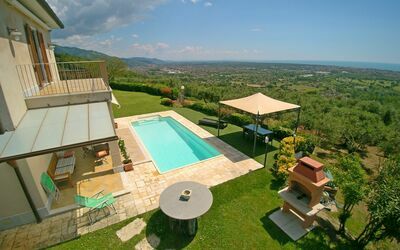 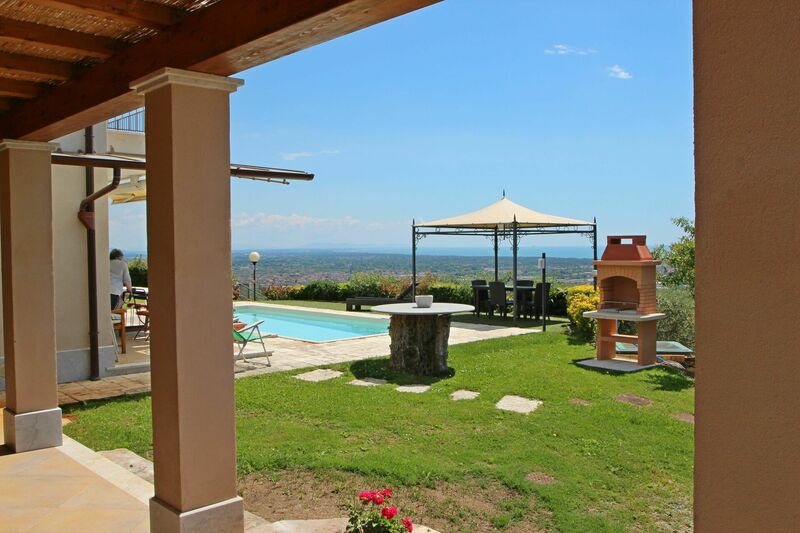 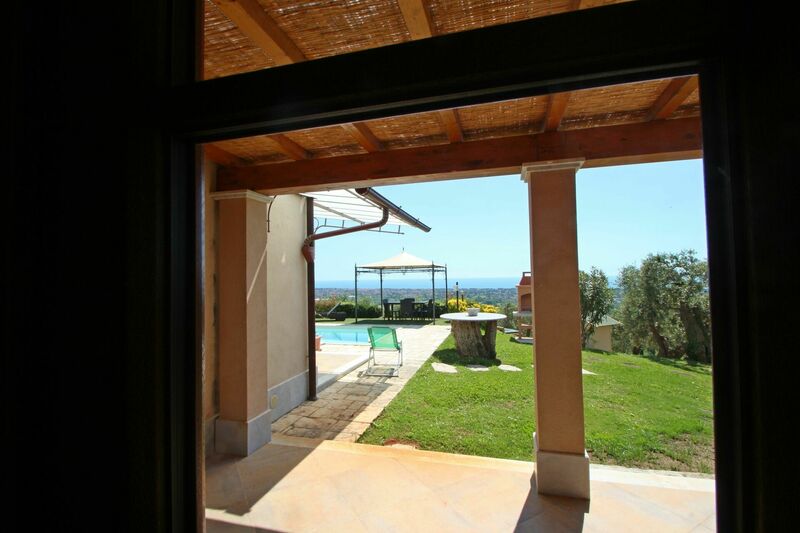 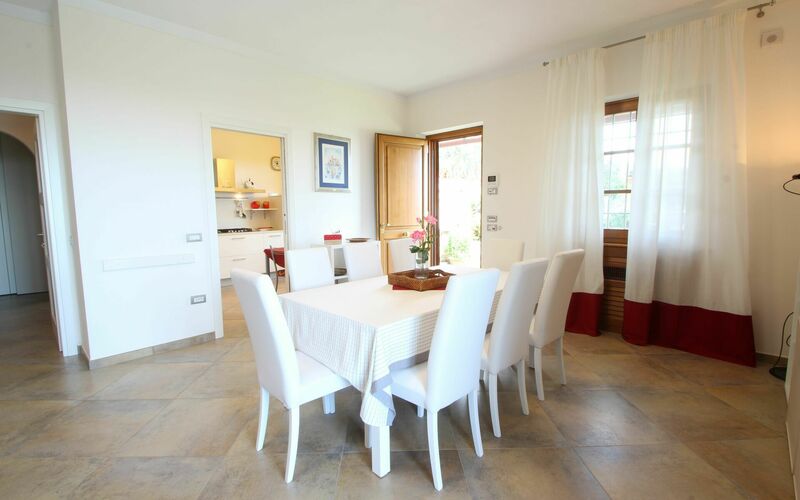 Villa Il Sogno consists of the Main Villa and the Dependence. - Entry into the modern living room with dining table, sofas, SAT TV, decorative fireplace and access to the seafront terrace with pool. 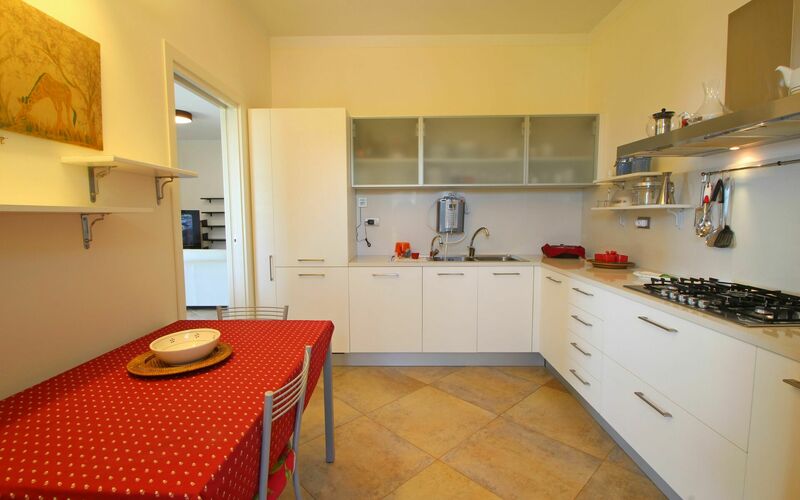 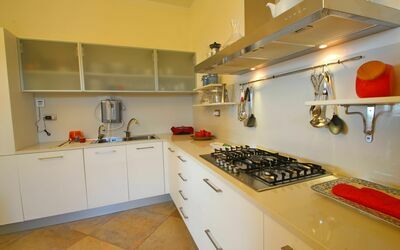 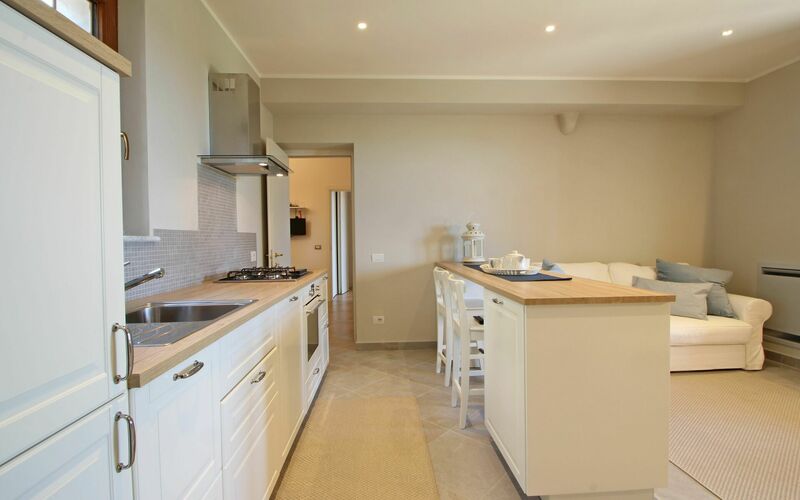 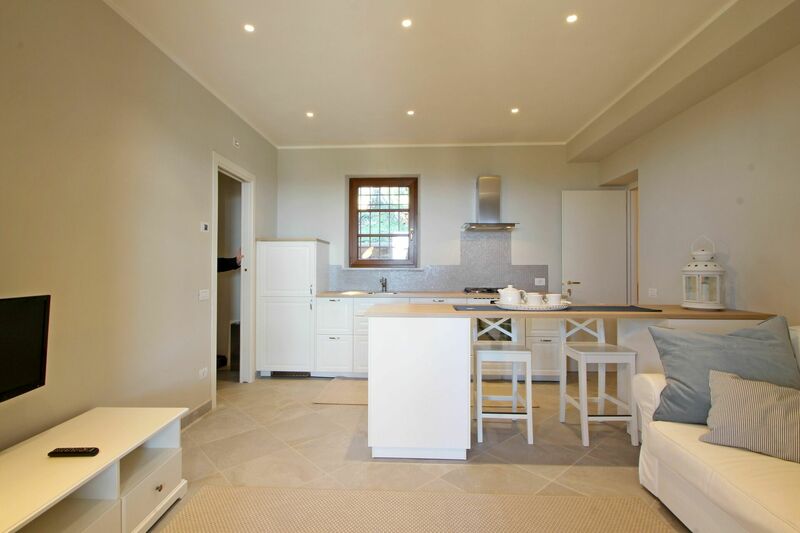 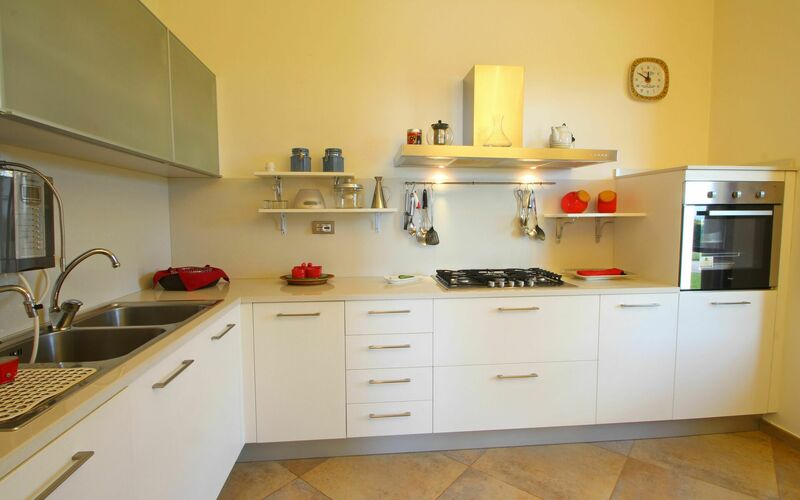 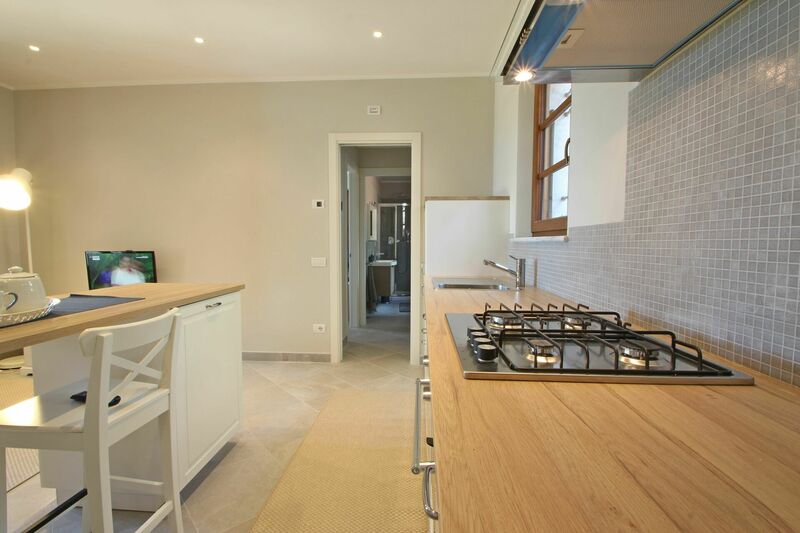 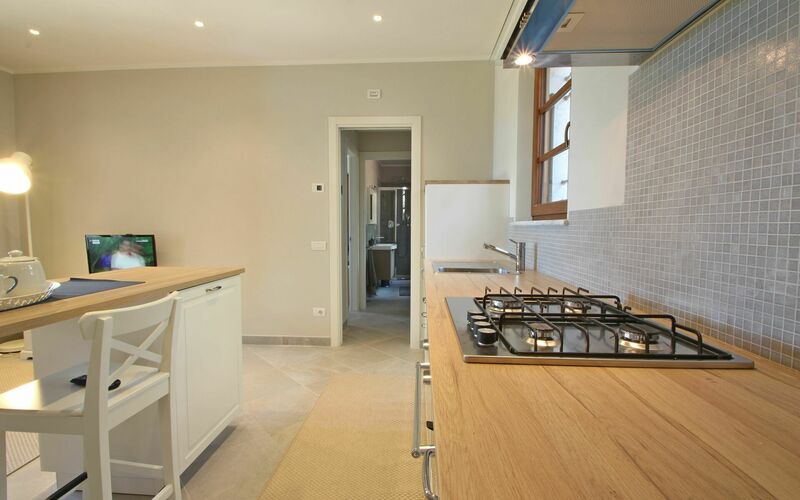 - Equipped kitchen with fridge / freezer, American and Italian coffee machine, dishwasher, oven, 5 burner stove, breakfast table and door leading to the outside. 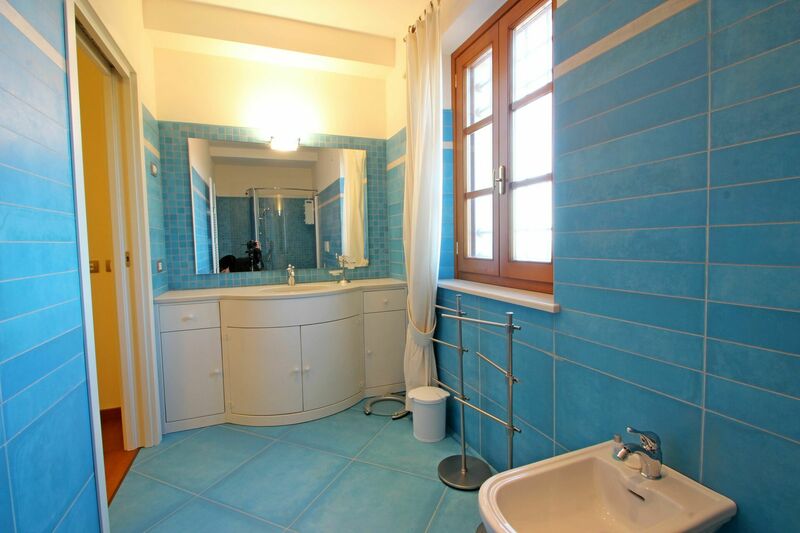 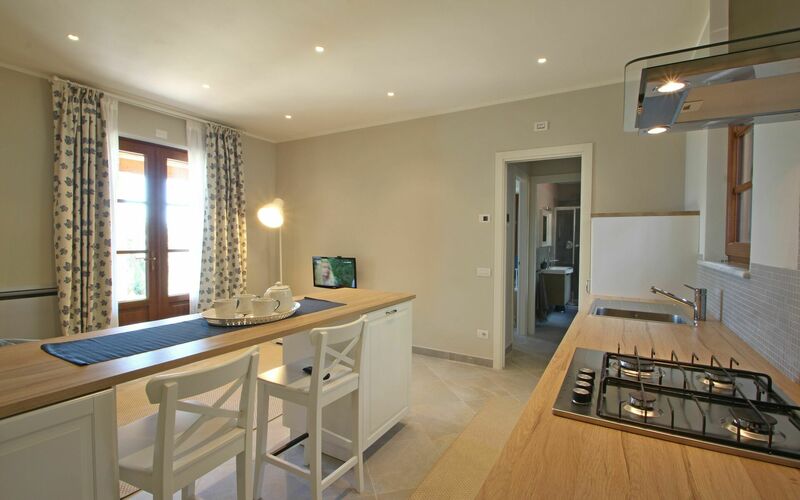 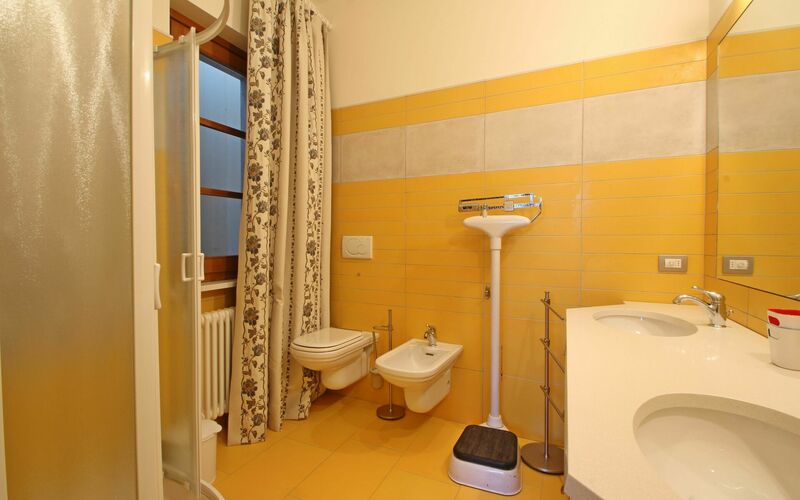 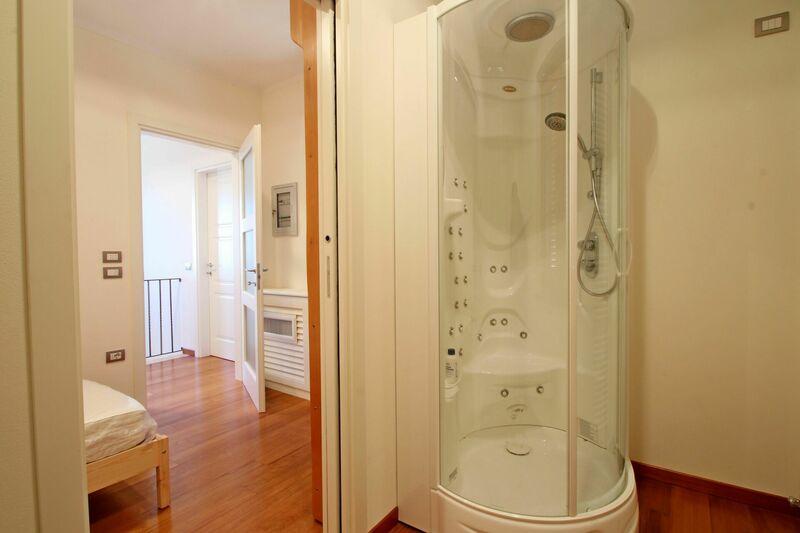 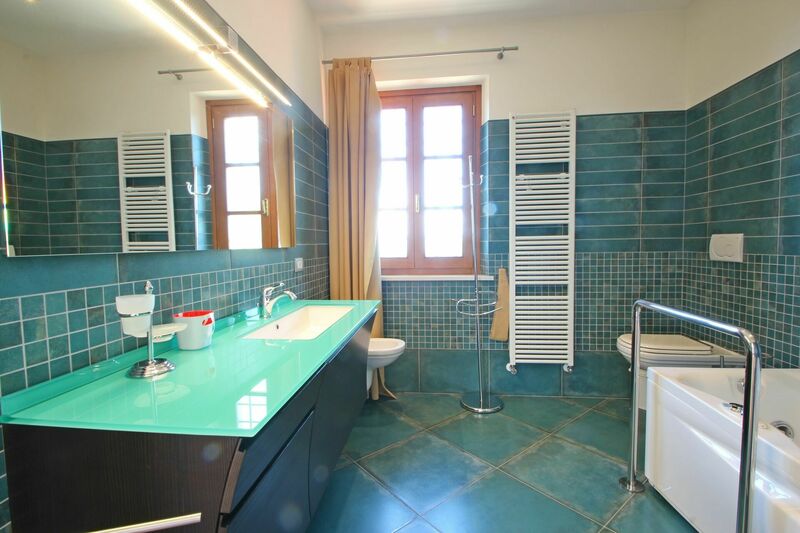 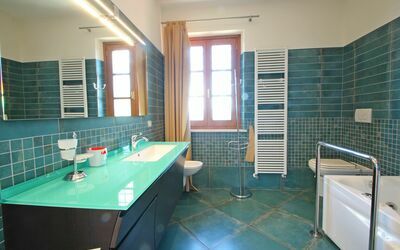 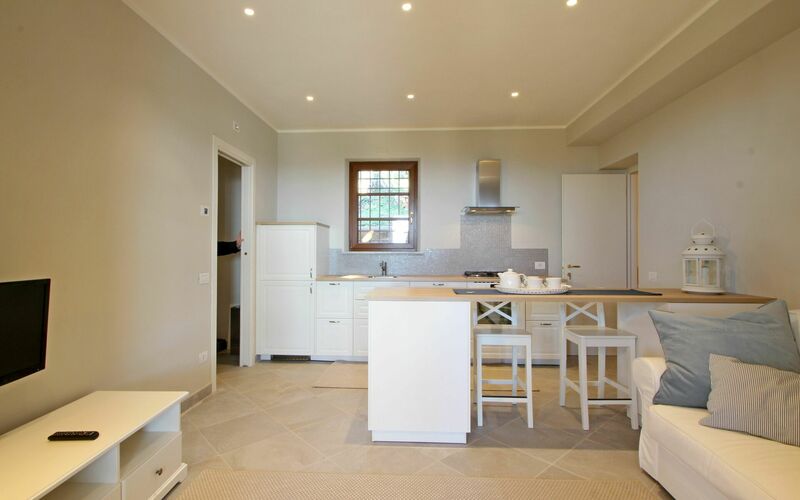 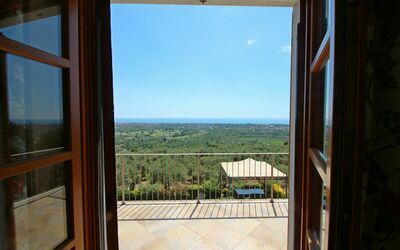 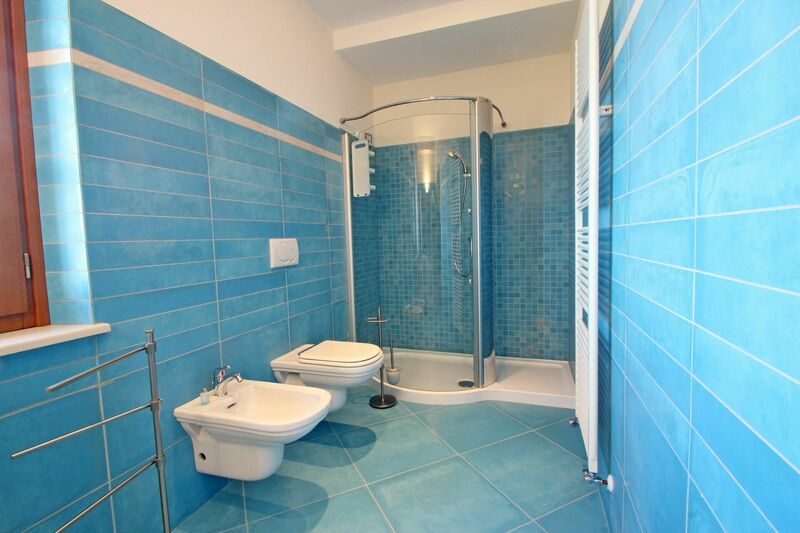 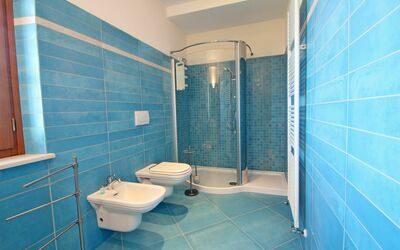 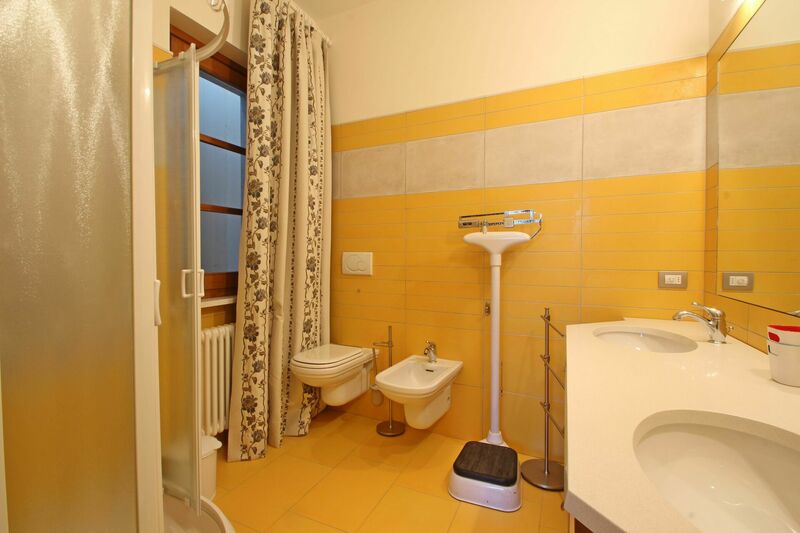 - Double bedroom with private bathroom with shower, bidet, sink and toilet. 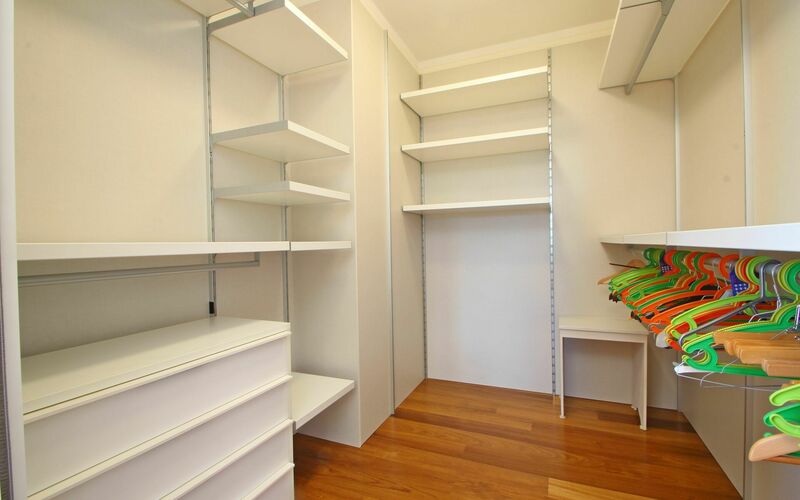 From the ground floor bedroom you can access the dependence. - Laundry with washing machine, iron and ironing board and door to the outside. - Master bedroom with 2 large single beds, bathroom with private Jacuzzi, walk-in closet and private terrace overlooking the pool and offering a breathtaking view of the sea. 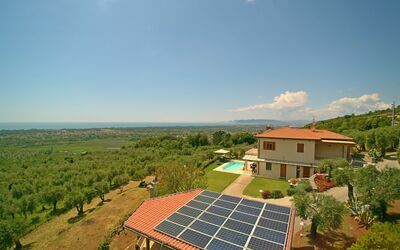 The terrace is equipped with an electric blind (remote control). 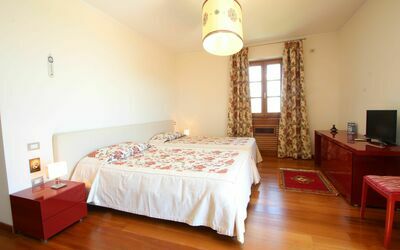 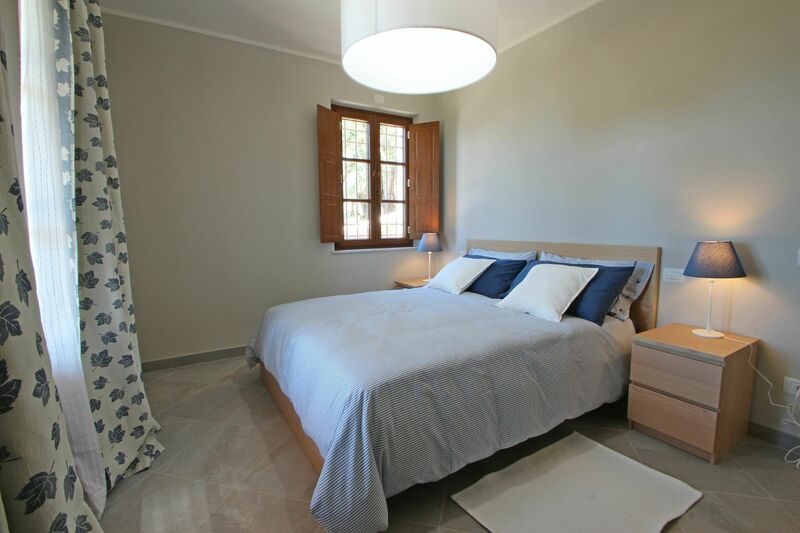 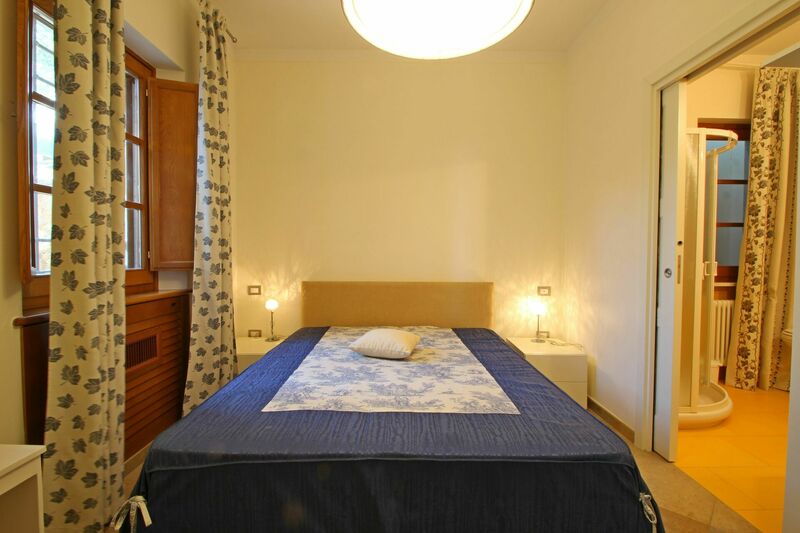 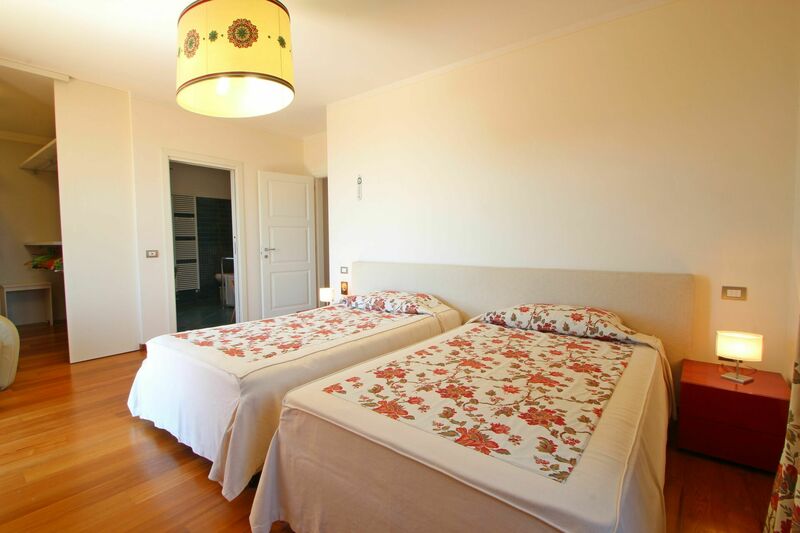 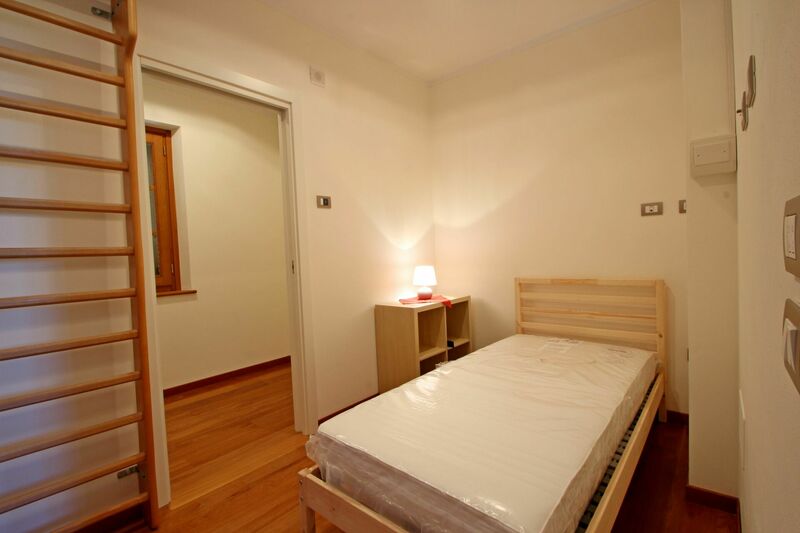 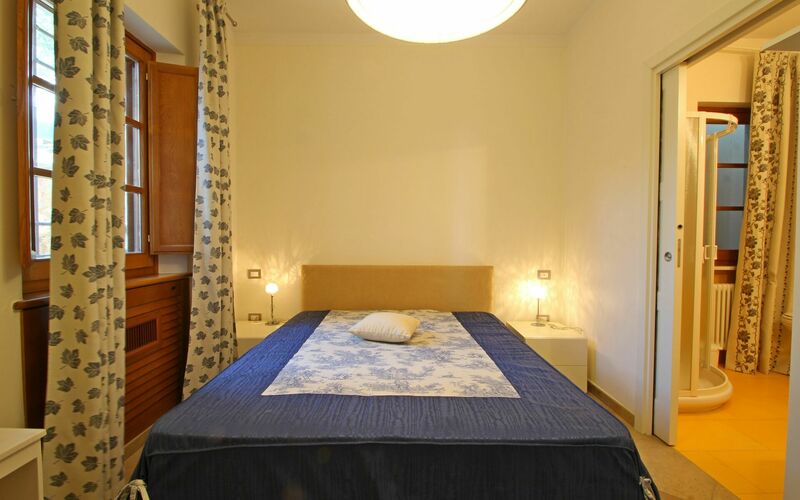 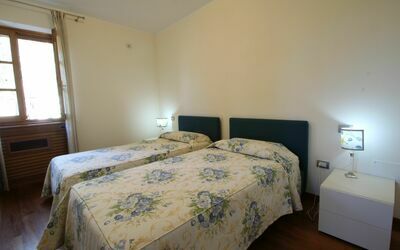 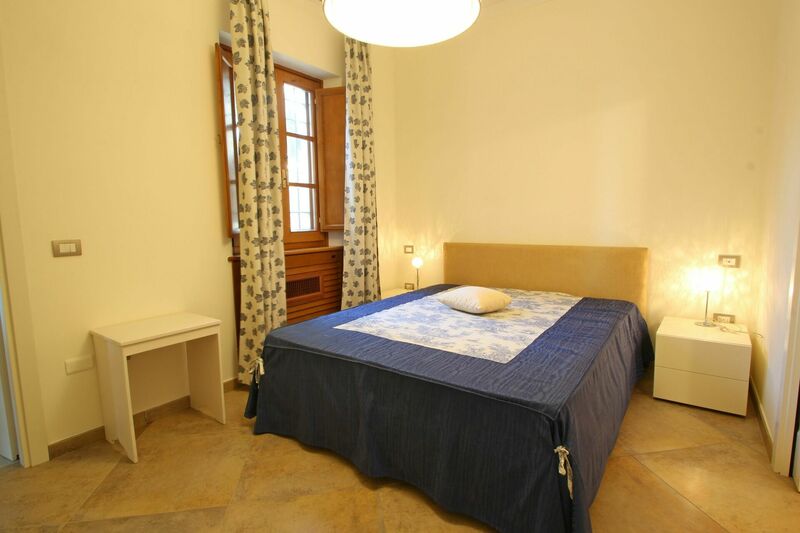 - Bedroom with two single beds and private bathroom with shower. 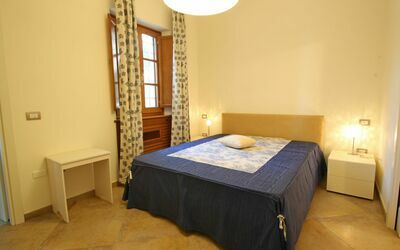 - Room with single bed and private shower room. 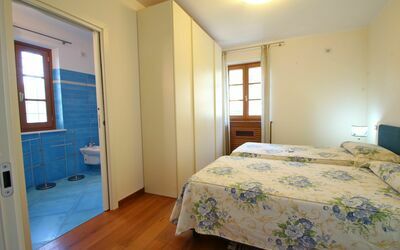 The room is also accessible from the outside. 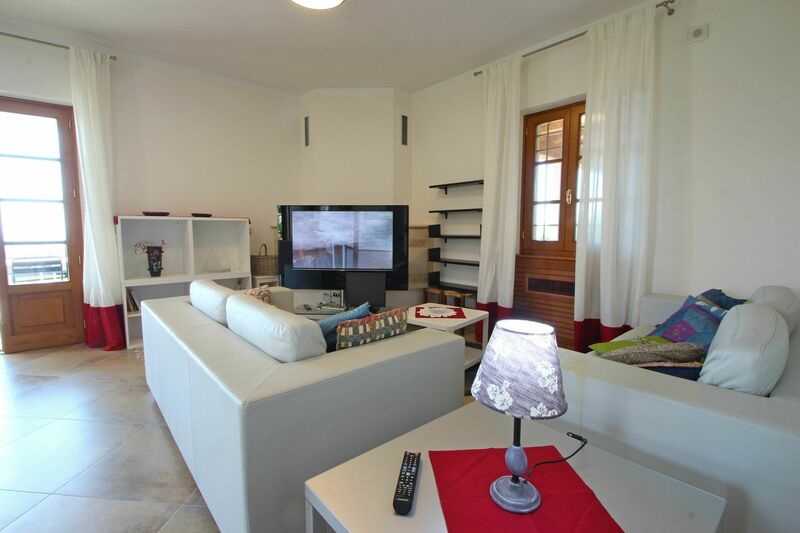 - Living room with sofa, TV, kitchen area with oven, fridge / freezer, 4 cooking and peninsula / dining table for two people. 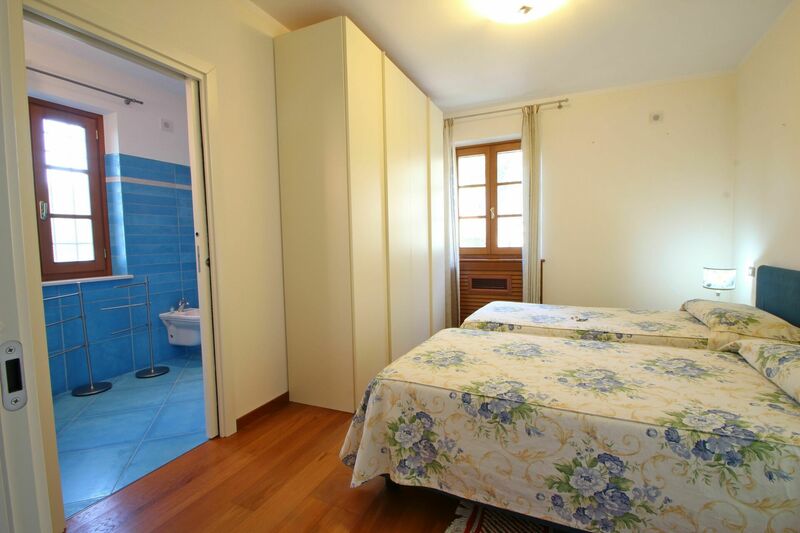 - Double bedroom with a door on the pergola. 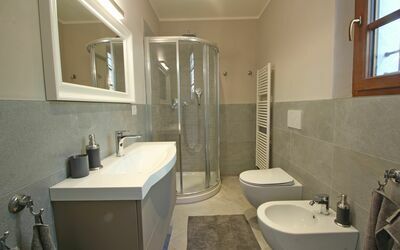 - Bathroom with shower, bidet, sink and toilet. The Villa and the Dependence have air conditioning.